We will have two series in October. The first one is Crazy Like Us. What’s crazy? 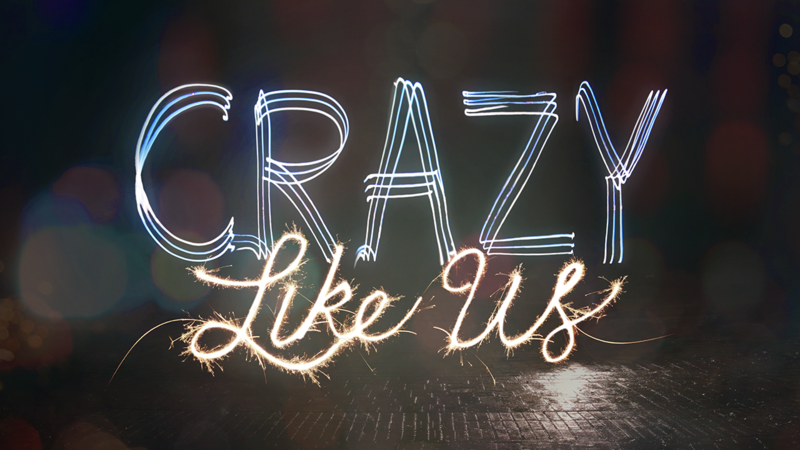 We will look at a couple of principles in October that may lead you to redefine what is crazy. What if our definitions in life are reversed? What if what we consider crazy is normal and what we consider normal is crazy? Join us every Sunday in October and let’s find out if you are crazy. We kicked off a new 12-week semester of Community Groups on September 4th that will end on November 20th. You can register online at www.citypointchurch.com and click the Connect tab. It’s not too late to find a group so register today and make some new friends! On Sunday, October 23rd support your favorite team by wearing your team jersey to church. The hospitality team will create an environment that will be irresistible with ice cold drinks & game day snacks. Double the fun and bring a friend! We will be partnering with Allen Community Outreach by collecting food items for their annual Thanksgiving Outreach. Pick up a shopping list at the Info table in the lobby starting October 16th and bring your items through Sunday, November 13th. Connection Point is a 3-week course where we share the vision and purpose of our church. 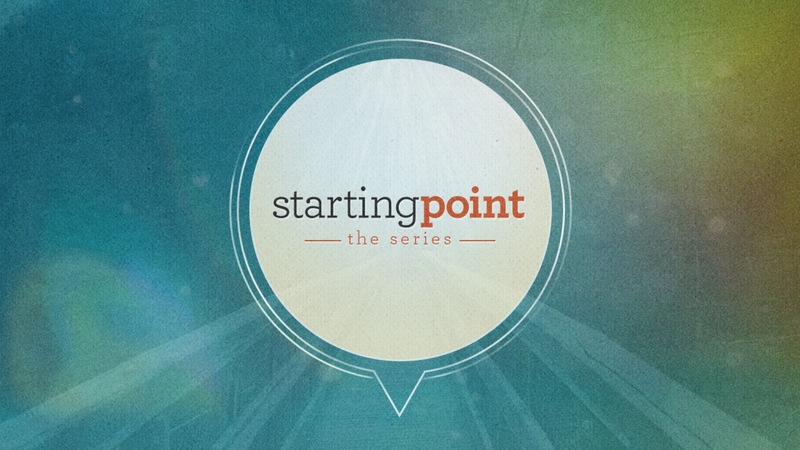 You will learn more about City Point and our vision as well as a focus on how to grow in your relationship with God. We also look at discovering our purpose & gifting’s and we show you practical steps to utilize your gifts to build the Kingdom of God and find true purpose. It takes place DURING the 11:45 service. Connection Point begins the first Sunday of every month with Class 101. If you have questions, please email us at info@citypointchurch.com. In Bible times, the world was a bit of a scary place. Encounters with giants. Fiery Furnaces. Lion’s dens. (Not necessarily the friendliest of environments. )Today is really no different. Bullies. Wars. Bad weather. Bad breath. Constant threats in our day and age. It could be easy for an adult to be fearful, not to mention a young child. But one Person is constant and never changes through all times and ages….our Father God. 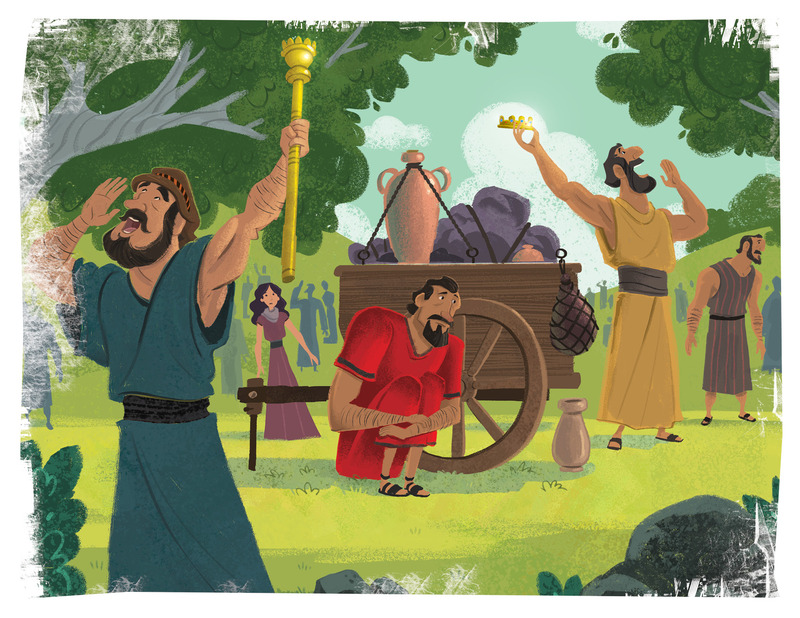 This month, your 3’s-Kindergarteners will discover the bravery of Queen Esther, the boldness of David, the faithfulness of Daniel, and the courage of three Hebrew men who would not bow down. Their trust was in God alone, and He made them strong and brave. God wants us to walk in that perfect peace and strength that comes from Him alone. We’ll see giants fall, and lions lay down and breath mints consumed! The love of God can be communicated to even the tiniest babies. That’s why every child at every age will participate in an engaging, interactive Bible lesson. In October, our nursery babies, toddlers and two’s will be learning about all the wonderful animals God created. Songs, Bible story time, and playful activities will emphasize God is the Creator of all living creatures. One of the truths that emerge in seeing that God reveals himself to us is that he pursues us. That’s amazing! Because of his great love, he goes after us. City Kids is launching off into our next unit of the Gospel Project where we see that God pursues people. What a great message and so needed for today! 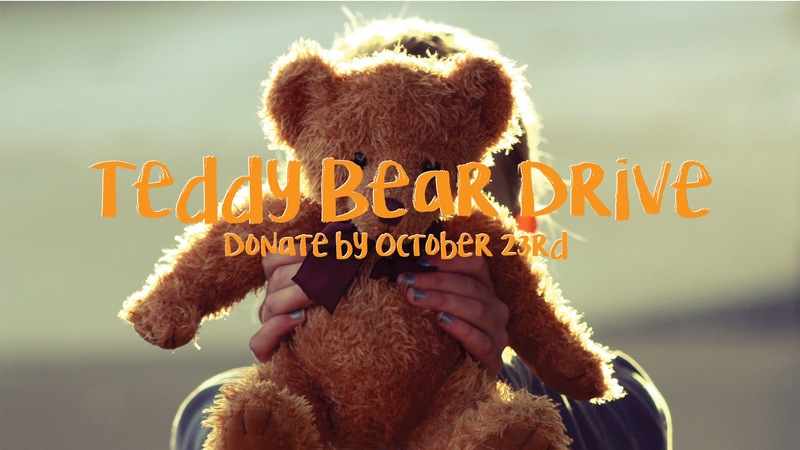 Beginning Sunday, October 2nd City Point will be collecting new teddy bears to be used for the 24th annual Teddy Bear Drive – these bears will be given to the Children’s Advocacy Center of Collin County. Please bring your new bear to the City Kids service any Sunday until October 23rd. Please join us in supporting this awesome community event. We’ll see you Sunday! 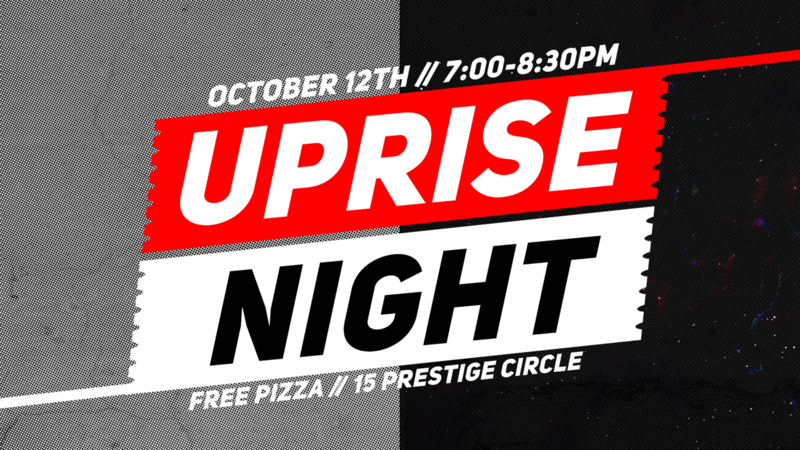 Uprise Night is a monthly event for all Junior High & High school students to connect with God & each other. Each month will have a different Uprise Night Theme that will encourage students to take their “next step” in their life with Christ. Service starts at 7:00 PM & ends at 8:30 PM, but feel free to come early and hang out with us! At Uprise we love helping students wake up to their new life in Christ! So, for the month of October, we will be attending Connection Point to help us understand who we are as a church, learn healthy habits of a believer and discover gifts that God has placed in our lives. Best of all, there will be free pizza after each class. Classes are held on Sunday mornings at 11:45 AM in the classroom next to the kitchen. Hope to see you there! Our student community groups are a great & fun way to meet new people and learn about God. We have groups meeting in two different locations this semester. The Rowlett Community Group meets every Tuesday night from 7PM – 8:30 PM while the Allen Community Group meets every Wednesday night from 7PM-8:30 PM. Check out http://citypointchurch.com/students to sign up for a group, and hope to see you there! The dates for Verge Summer Camp 2017 have been released!! On June 19th-23rd we will head back down to sunny Destin, FL for another amazing week filled with games, beaches & powerful God-moments! Go to http://vergecamp.co and check out highlights from last year’s experience. Go ahead and mark your calendars and plan on attending Verge Camp with us next year! To make the cost easier, you can start a payment plan now of $50/month from October-June. It’s a common misperception that the Christian life is all about avoiding messes and staying out of trouble. 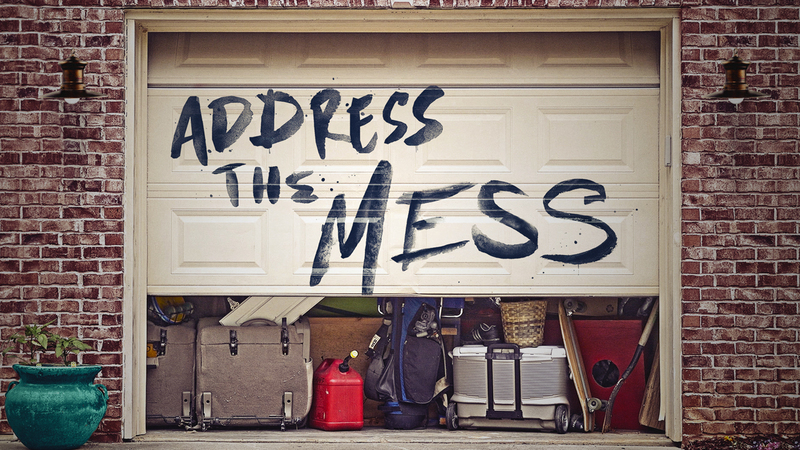 It turns out that our mess and the messy people you meet along the way may actually be why Jesus came. In this 4-part series, Pastor Eddie reminds us that following Jesus isn’t about avoiding something; it’s about becoming something. We kick off a new 12-week semester of Community Groups on September 4th that will end on November 20th. You can register online at www.citypointchurch.com and click the Connect tab. Register today and make some new friends! Have a prayer request? We would love to agree in prayer with you. 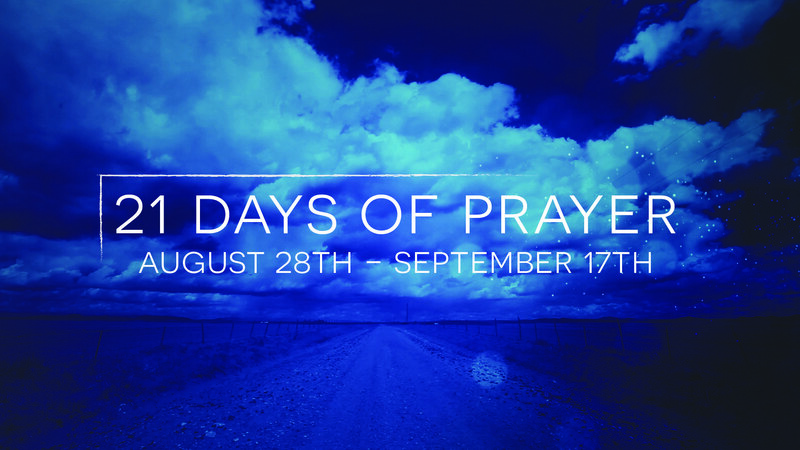 Please let us know at prayer@citypointchurch.com. We also meet every Sunday morning at 8:30 in one of the classrooms to pray for our church, our families, and each other. 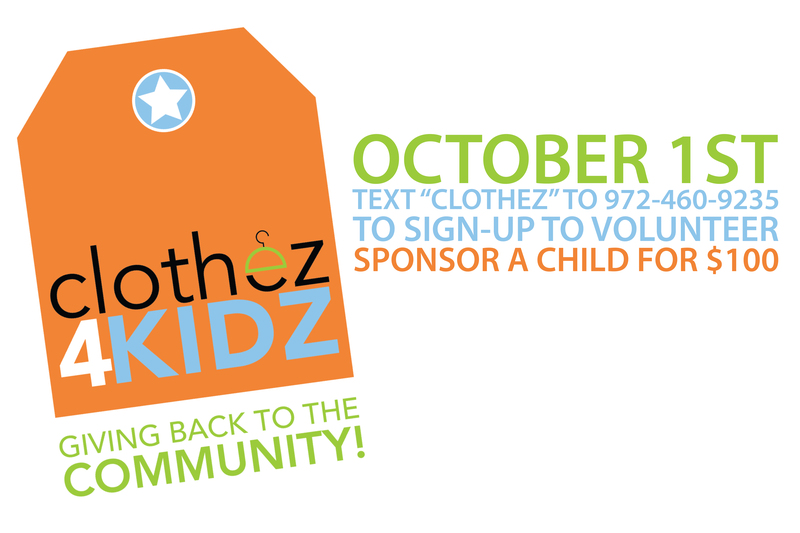 We have an opportunity coming up on October 1st to help change a child’s school year. We have partnered with other area churches to sponsor back to school clothes for children in need. We hope to sponsor 25 children for $100.00 each to buy new clothes for school. We will meet on Saturday, October 1st at Kohl’s in Plano on McDermott and take each individual child shopping to help outfit them for school. You can help in two ways. 1) Financially sponsor a child for $100.00 2) Be a shopper on that morning and help a child pick out their new clothes. We will be sharing more details in our services. Who is the Holy Spirit? What is the role of the Holy Spirit? What does being led by the Spirit Mean? What are the gifts of the Holy Spirit? We hear many of these questions often as a church. I think we can more easily understand the role of our heavenly father, and we identify with His Son Jesus. However, many believers are not sure how to relate to the Holy Spirit. It is clear in scripture that he is to play a significant role in our lives. In fact, Jesus said it was to our advantage that the Holy Spirit would come. The spirit of life… the essence of truth… the voice of God. He has always been here, and will always remain. If you have a curiosity about the Holy Spirit, we have just the thing for you. In September we will have a 4- week class to take a look at scripture to help us to understand the Holy Spirit. Explore the power and comfort of the one who resides within. Join us on Wednesday evenings – September 7th, 14th, 21st & 28th from 7:00 – 8:00 at the church. 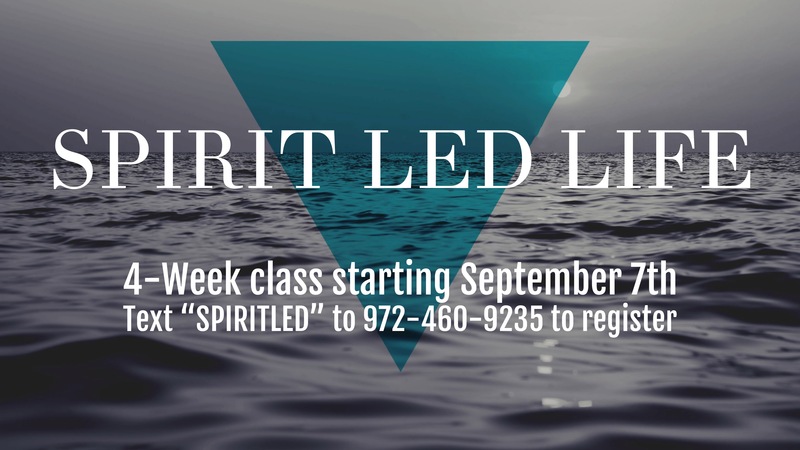 Please register by texting the word “SPIRITLED” to 972-460-9235. Connection Point is a 3-week course where we share the vision and purpose of our church. 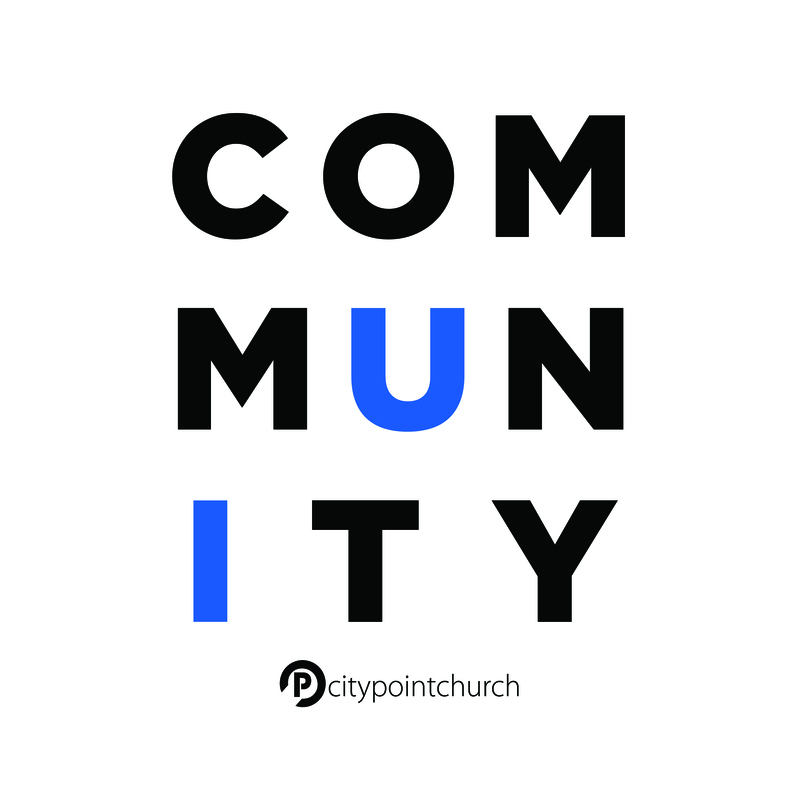 You will learn more about City Point and our vision as well as a focus on how to grow in your relationship with God. We also look at discovering our purpose & gifting’s and we show you practical steps to utilize your gifts to build the Kingdom of God and find true purpose. It takes place DURING the 11:45 service. Connection Point begins the first Sunday of every month with Class 101. If you have questions, please email us at info@citypointchurch.com. Are you ready to go ALL IN and take your faith public? We will be having water baptism Sunday, September 25th during the 10:15 & 11:45 service. What a meaningful day to take part in a foundational event for a follower of Christ! 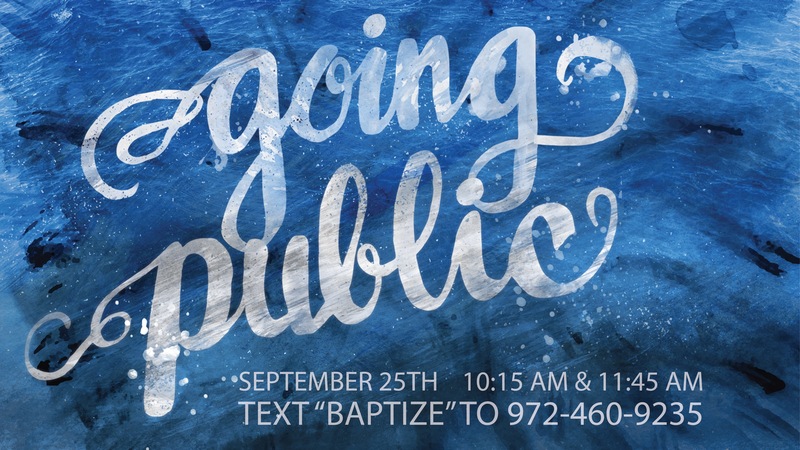 If you are interested in being baptized, please text “BAPTIZE” to 972-460-9235. 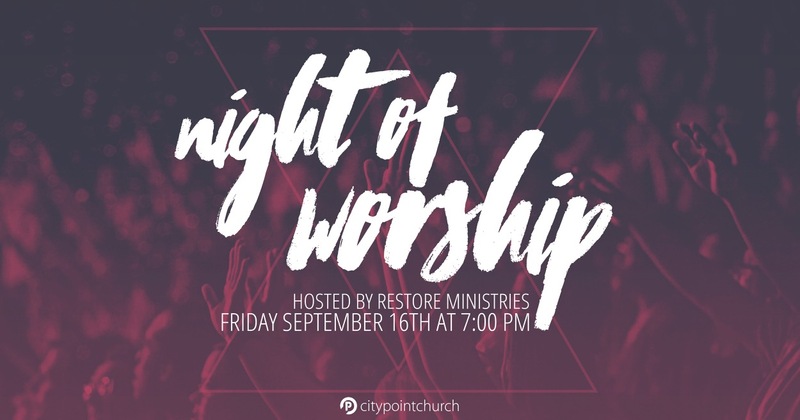 Join us for a night of worship with the CityPoint band on Friday, September 16th at 7:00pm. Childcare is provided for babies through 5th grade. This night is hosted by the Restore Ministries. City Point Church has an amazing team of volunteers who teach your little ones the Word of God at every age-level. This month is no different. The 4’s thru Kinder class, will be learning about obeying God. There are countless examples in scripture about obedience and disobedience. Samuel, Samson, Jonah and a talking donkey illustrate the importance of obedience beautifully, not to mention how great God is. I mean… who gets swallowed by a whale and lives to tell the tale? Who has ever had a donkey talk to them? Strength in hair? 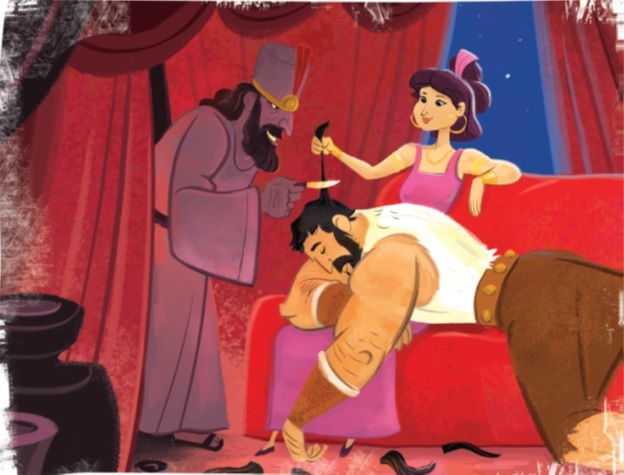 That’s some pretty good biotin Samson was taking! To quote a phrase from one of our worship songs in class… “Obedience is the right thing to do. Thumbs up, yes, it is true!” We’re going to have a whale-y good time this month!! Kids are like sponges. They mimic the people and things all around them. This is perfect timing to teach them God’s love. Our 3-year-olds will be exploring the ark Noah built and discovered that God is always with them. Our babies thru 2-year-olds are going to know all about this great, big world God created. Music, movement, Bible-time and crafts help reinforce God’s goodness every Sunday! We have some great serving opportunities in our preschool area for the 1st and 3rd services! Start looking at how you could plug in! Contact Alicia Ingram at aingram@citypointchurch.com. Interested in being a part of the team who teach children lessons like the ones just mentioned? We’d love to meet you! Please contact Alicia Ingram at aingram@citypointchurch.com for more information! School is in session! Summer vacation was great, and now it’s “back to the books.” In City Kids, we’ve been learning about the wisdom books of the Bible. Whether it’s the wisdom of Solomon in Proverbs and Ecclesiastes, or the hard questions of life Job encountered, a steady theme continues to emerge. There is only one God and without his gift of salvation through Jesus, life has no real purpose. In Job 9:33 Job cries out, “If only there were a mediator between us, someone who could bring us together.” Jesus is that mediator! Our Gospel Project journey will now head deeper into the period of the kings and prophets of the old testament. God raised up the prophet Elijah with a very simple but profound choice for his people. Who would they believe? King Ahab and Queen Jezebel had led God’s people into sin and idol worship, but God was using Elijah to bring them back. A challenge on Mount Carmel occurred, and God demonstrated that he alone is God. Pray for us as we continue to teach those fundamental truths from scripture and that our kids will experience the revelation of who God is in their lives. We are so excited about some new changes to Uprise this fall. We are taking on a new model that we believe will help your students feel connected, experience God & develop spiritually. Up until this point, we met every Sunday night from 5:30PM-7:00PM. However, over the past few months we have seen that Sundays are challenging when you factor in all of the holidays that prevent us from meeting on a regular basis. So we have decided to move Uprise to Tuesday & Wednesday nights from 7:00PM-8:30PM. During these semesters, students will meet at a host home. To make things easier for families who live farther away, we will launch with two community groups this semester. One group in Rowlett on Tuesday nights and another in Allen on Wednesday nights. Small group leaders will be there to facilitate Bible-Studies and group discussions. These groups will be a great opportunity for students to invite friends from school to come experience a casual environment talking & learning about God. We also understand how important it is for students to be able to come together and experience God through passionate worship and a powerful message. That’s why we will also have Uprise Nights, which will be gathering nights for all those in a community group to come together for a big service. Those will be held on Wednesday nights from 7PM-8:30PM at the church. 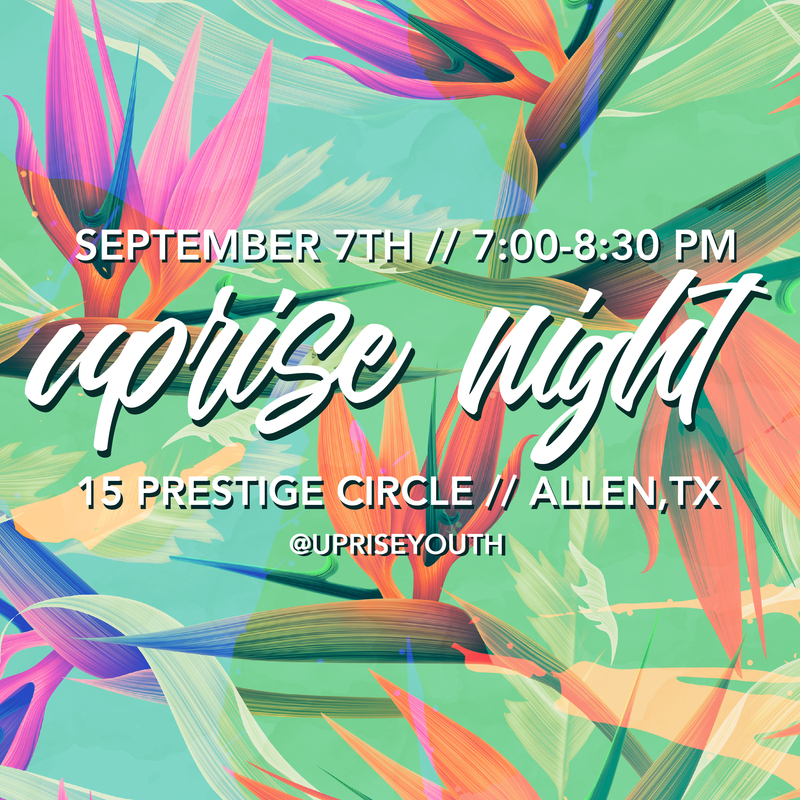 Our first Uprise Night will be Wednesday, September 7th. We are going to kick off the semester with a bang so make sure they bring some friends! We will have food, games, door prizes, and a giveaway for the person who brings the most guests. We believe that one of the best ways for your students to develop spiritually is to get plugged in to & serve at the local church. A great way to do that is to serve on the Point Team! We have Connection Point classes the first three weeks of every month during the 11:45AM service. It is a great opportunity for your students to find out more about City Point, find out what gifts and talents God has given them, and see how they can begin to use those gifts and talents. 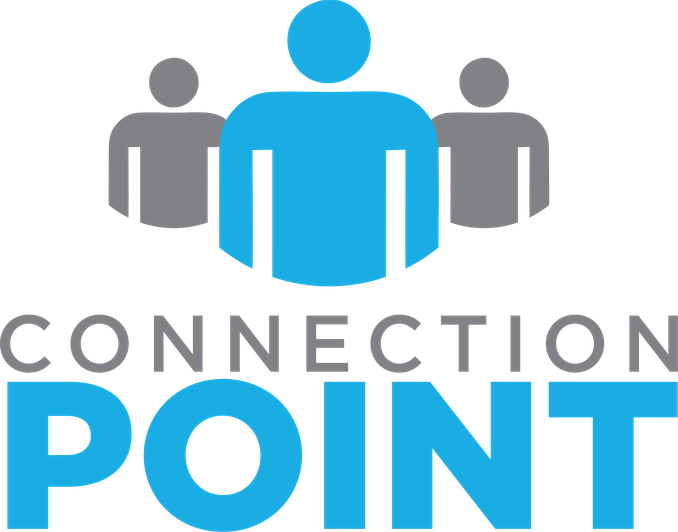 We would love to have all of the students go through Connection Point during the month of October and help them find an area that they can serve on Sundays. We will have pizza for all the students after Connection Point classes each week in October. We are so excited about this new change and what God is doing in the lives of our students at CityPoint! We know why Jesus died. But why did He choose to make His home among us? Why did He choose the earth as the stage to teach us from? This month we are going to look at the lessons God could only teach us face to face. What we will discover is some of the most critical lessons were taught in a way that every person could understand. We will learn not just about God but who is God. What is His temperament? How would he treat the people that hated him? How would he treat His friends? 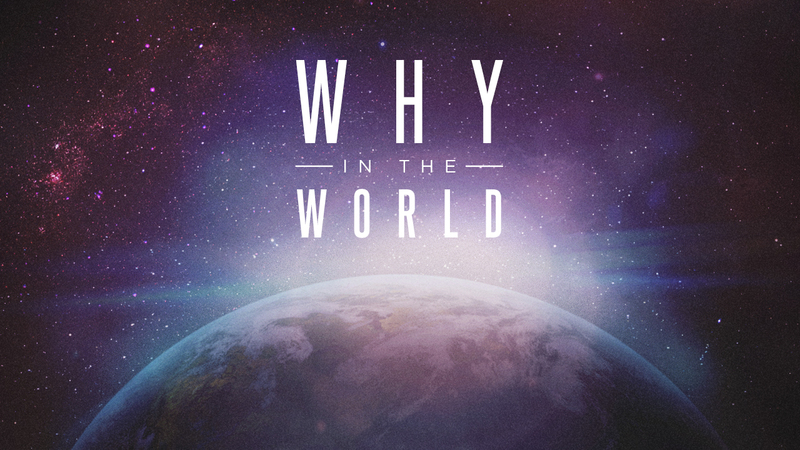 We encourage you to read the gospel of John this month as we answer the question: Why in the World? We kick off a new 12-week semester of Community Groups on September 4th that will end on November 20th. You will be able to register for a group starting August 21st online at www.citypointchurch.com and click the Connect tab. If you are interested in leading a group this semester, it is not too late to jump on board. We have two 1-hour training events for group leaders. Our first training is a luncheon on August 21st after the third service. The second training event is Monday, August 22nd at 7:00 pm at the church. Please let us know today if you want to lead so we can collect the details of your group. Summer is almost over and the first day of school is right around the corner! We know you have a laundry list of things to purchase, places to go and things to do, but we want to help you start this school year off right. 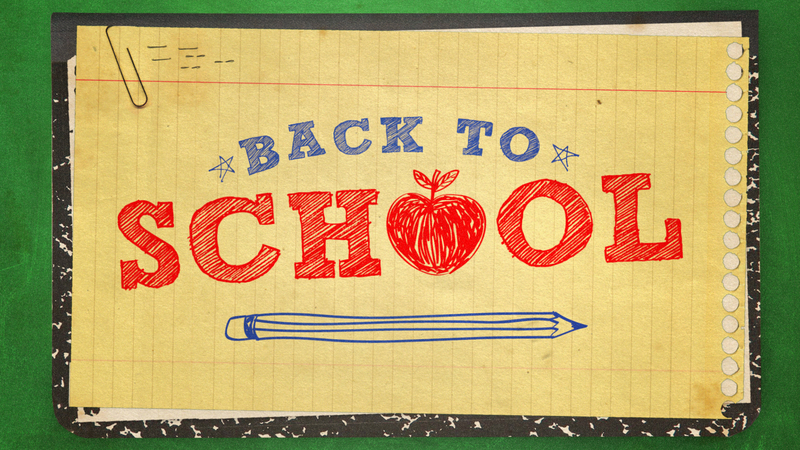 On August 21st, we will have a special day to pray for your students and our teachers as they go – Back to School. This will also be the day that our students are moving into Middle School will join Mom & Dad in the adult service. Who is the Holy Spirit? What is the role of the Holy Spirit? What does being led by the Spirit Mean? What are the gifts of the Holy Spirit? We hear many of these questions often as a church. I think we can more easily understand the role of our heavenly father, and we identify with His Son Jesus. However, many believers are not sure how to relate to the Holy Spirit. It is clear in scripture that he is to play a significant role in our lives. In fact, Jesus said it was to our advantage that the Holy Spirit would come. The spirit of life… the essence of truth… the voice of God. He has always been here, and will always remain. If you have a curiosity about the Holy Spirit, we have just the thing for you. In September we will have a 4- week class to take a look at scripture to help us to understand the Holy Spirit. Explore the power and comfort of the one who resides within. Join us on Wednesday evenings – September 7th, 14th, 21st & 28th from 7:00 – 8:00 at the church. Please register by filling out a connection card in service, so we know how many to expect. Connection Point is a 3-week course where we share the vision and purpose of our church. You will learn more about City Point and our vision as well as a focus on how to grow in your relationship with God. We also look at discovering our purpose & gifting’s and we show you practical steps to utilize your gifts to build the Kingdom of God and find true purpose. It takes place DURING the 11:45 service. Connection Point begins the first Sunday of every month with Class 101. If you have questions please email us at info@citypointchurch.com. Pickles. Pickles come in various shapes and flavors. I love a crispy dill. But sometimes we find ourselves in a pickle. Esther, Joseph, and a widow in debt all found themselves in such pickles, but God had a plan. This month in our 4’s-Kinder class, your children will be learning these stories and discover how God has a plan for us even in the greatest of challenges. It’s going to be a Vlasic Classic! Three-year-olds love to look at animals and enjoy all the wonders of creation. This month, that is just what they’ll do as they learn about the world God created and the amazing way He made people too. Don’t be surprised if they come home experts in botany, zoology, and meteorology! Our littlest cucumbers have a great lesson lined up in August learning how God gave us our church. We come to church to sing, learn about God and help each other. They’re going to leave knowing church is a fun and loving place to come! 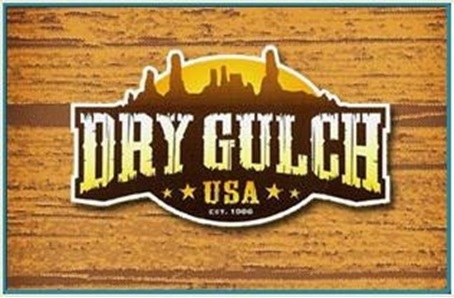 Dry Gulch USA was a hit! Camp was awesome, and our kids had a blast. We are very grateful for all those who had a hand in making it possible. Thank you very much. We’re already excited thinking about next year! 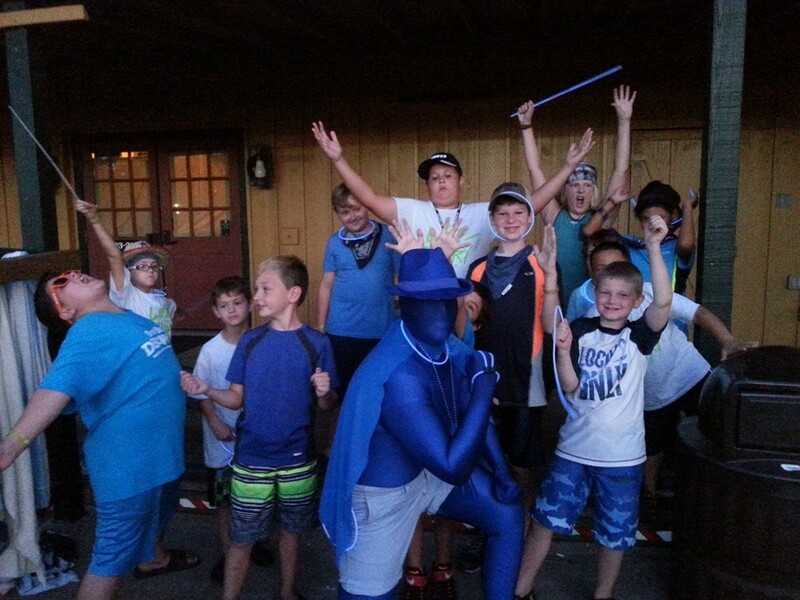 Camp always tends to foster a fresh energy in our kids. Pray that we will be able to build on the momentum that was generated and reach more kids for Jesus. 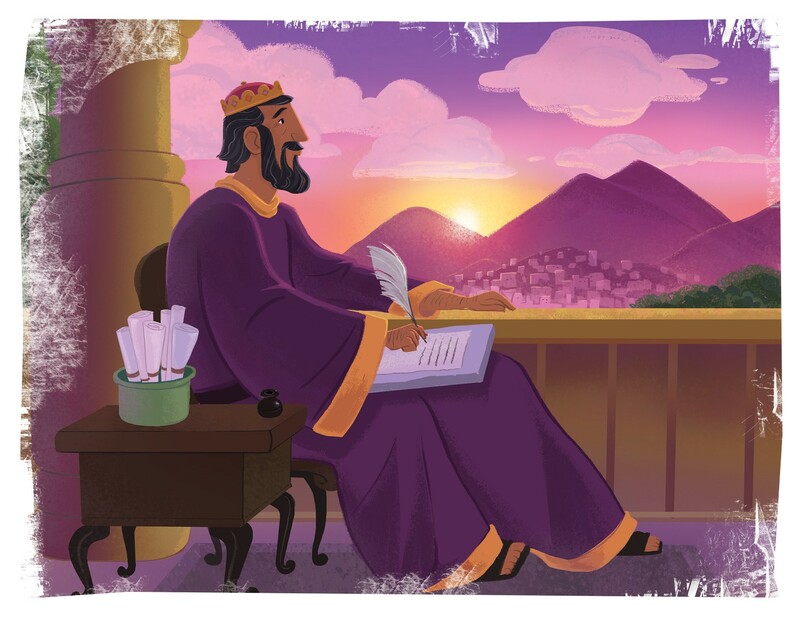 City Kids on Sundays continues our “Gospel Project” series learning about King Solomon and the Wisdom he received from God. Our current key verse says “For the Lord gives Wisdom; from his mouth come knowledge and understanding. He holds success in store for the upright, he is a shield to those whose walk is blameless.” (Proverbs 2:6-7 NIV) True wisdom comes from the Lord and there is no better place to go for instruction and advice for godly living than his Word. He also tells us in James 1:5-7 that all we need to do is ask him for wisdom and He’ll give it to us. Our current culture thrusts so many voices at our kids today that it’s imperative as believers that we are pointing our kids to God’s Word. An example of one of those voices is the movies our kids watch. In the recent Angry Birds movie, the main character embarks on a journey to get help from the “great eagle” who lived up a mountain. Ironically, the problem was an effort to save the kids of their village who had been kidnapped by pigs. This “mystical” eagle character was disappointing and unhelpful. The main character responds to this disappointment by saying “I used to believe in you. When I was a kid.”. Make no mistake about it. This is a message or voice that says when we ascend the mountain to God for help, he will disappoint us. The Word of God plainly encourages us to go to Him. If you ask kids today what the Bible says about going to Him for Wisdom, they may be challenged to be specific with their answer. However, there’s a good chance they’ll be very specific about details from the movie. In City Kids we are learning that God does desire for us to be wise and that He wants us to come to Him. 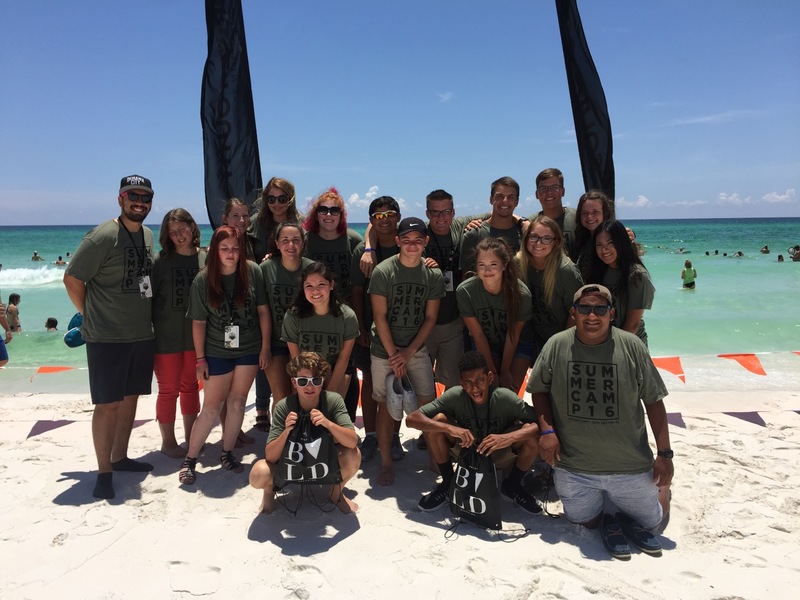 Uprise Youth had an amazing, life-changing week at Verge Camp in Destin, FL. They spent the week soaking up the sun at the beach, and the weather was perfect, and the water was crystal clear! But more importantly, each and every student had an experience with God! They came back with their lives changed and ready to kick off the school year on fire for God. We are so thankful for everyone that sponsored someone and supported our fundraisers to help send our students to camp. We believe that these types of experiences are ones that they will remember for the rest of their lives and be able to look back and pinpoint that God did something in them. We can’t wait to go back next summer and will let you know the dates to mark your calendars as soon as we can. 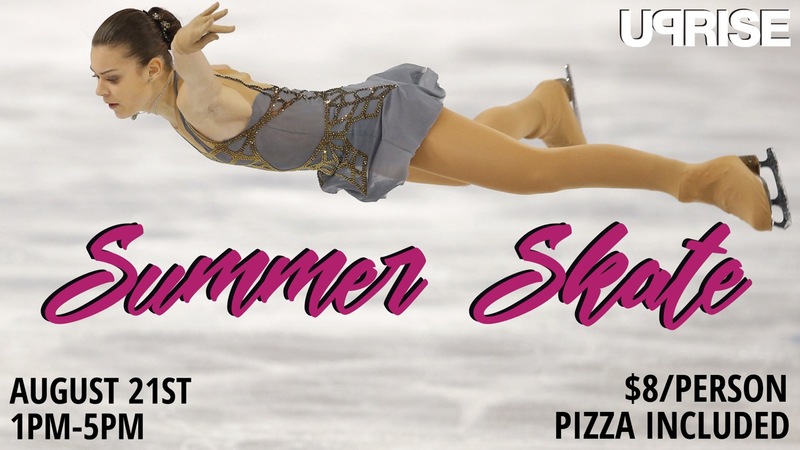 We are going ice skating at the Allen Community Ice Rink immediately after the 11:45 AM service. Skating hours are from 1-3PM so grab a quick lunch on your way and meet us there. Afterward, we will all eat pizza at CiCi’s. Pick-up will be at 5PM at the CiCi’s Pizza on Greenville Avenue. We are so excited that the giving campaign for our expansion into the warehouse, (attached to our current location), launched on January 31st. We will use our current auditorium as our new kids & youth worship space. The addition of the warehouse will double our adult seating, new kids/youth auditorium and triple our parking. We have raised half of our funds through pledges and offerings. As of today, we have raised over $126,836.00. We will give updates monthly. You can give towards the expansion via text by texting the word EXPAND or give online to Building Fund. Our goal is to raise $200,000 by December. We have two convenient ways to give outside of service:: You can text the amount you want to give to (972) 330-2495. You will be guided through the easy steps; it is simple and secure. You can also click the button below to give online. If you are shopping on Amazon this year please use this Amazon Smile link. AmazonSmile is a simple and automatic way for you to support City Point Church every time you shop, at no cost to you. When you shop at smile.amazon.com, you’ll find the exact same low prices, vast selection and convenient shopping experience as Amazon.com, with the bonus that Amazon will donate a 0.5% of the purchase price to the church. We all know what’s required to fall in love . . . a pulse. Falling in love is easy, but staying there, that’s something else entirely.With more than a thousand matchmaking services available today and new ones springing up all the time, finding a romantic match can be easier than ever. But staying together with the one you’ve found seems to be the real challenge. So is it possible for two people to fall in love and actually stay there? Absolutely! Learn how this month. I think everyone can agree that our City Kids have a great time every Sunday. They worship, play games, make friends and learn about Jesus. 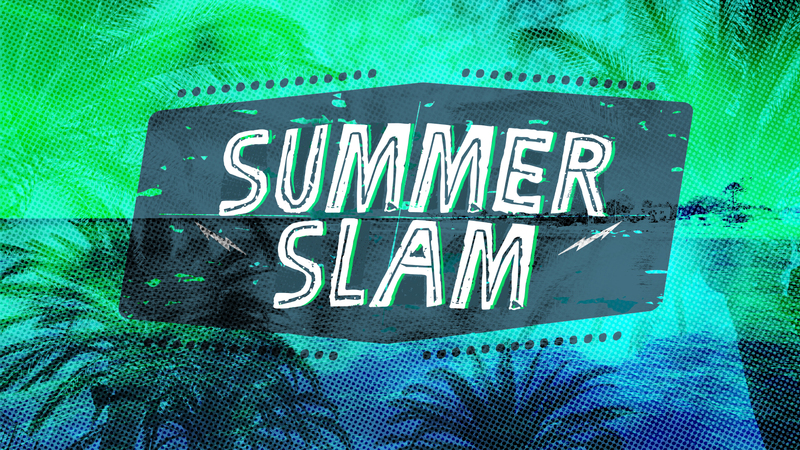 This summer we’ve decided to take it to a whole new level! We’ve invited their favorite Super Heroes to join us for all three services on July 10th. What would it be like to meet Spider-Man, Ironman, Batman or Captain America? 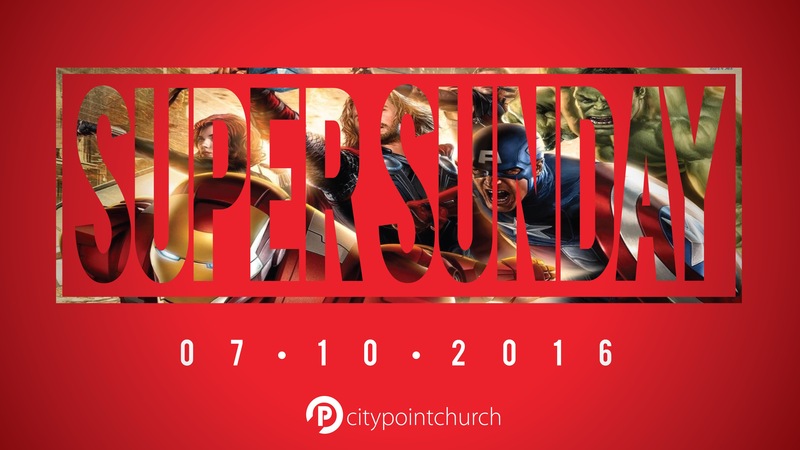 Invite somebody that has a child who loves superheroes to be part of this Super Sunday! And don’t forget your camera to snap a few pics! Come join us for a worship experience that is sure to take your walk with God to a deeper place. Take some time out of your busy summer and allow room for God to speak to you. We all carry burdens and walk through circumstances that are beyond our control and this night is designed for you to forget about the worries of life – cast your cares on Him – and be refreshed in God’s presence. We’ll see you on Sunday, July 10th at 7pm for this awesome time together! Childcare is provided for babies through 6th grade. A star-nosed mole. Sea pigs. Blobfish. Sloth. These are some of God’s more unusual creatures, yet they have a name and a purpose. The Creation story, Adam, Eve, Noah, Abraham & Sarah will give your 4’s and 5’s a look at God’s epic creation of a planet, a plan, a promise and a people. More fun than watching Discovery for sure! Another of God’s wonders is friendship. This July, the babies & toddlers, 2’s and 3’s will learn the value of friendship with stories like Jonathan & David plus four special dudes who creatively helped their friend meet Jesus. It’s the heat of the summer and our hearts are warm with God’s goodness. Love gardening? Looking for some fresh soil to exercise your green thumb? 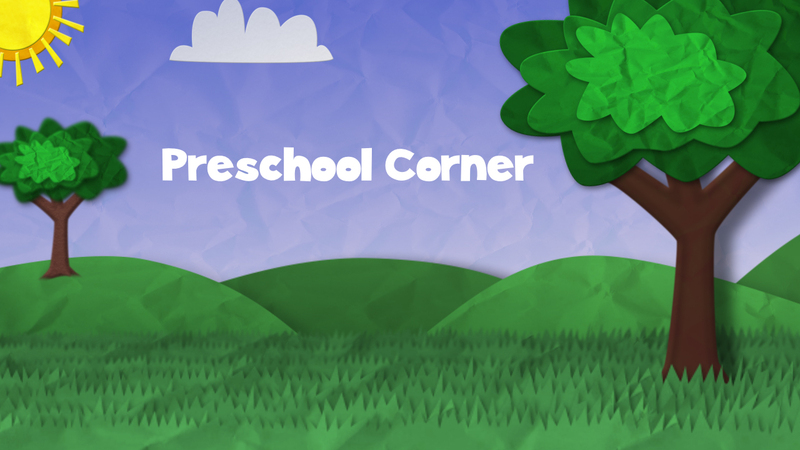 Join our preschool and nursery team and start planting the seeds of God’s Word in little hearts today! Contact Alicia Ingram for more information at aingram@citypointchurch.com. Seeds will be provided! Kids Camp is almost here! It’s going to be “major” fun! It will also be a great opportunity where the typical cultural voices surrounding our kids becomes less and they can get more connected with God. How awesome is that? 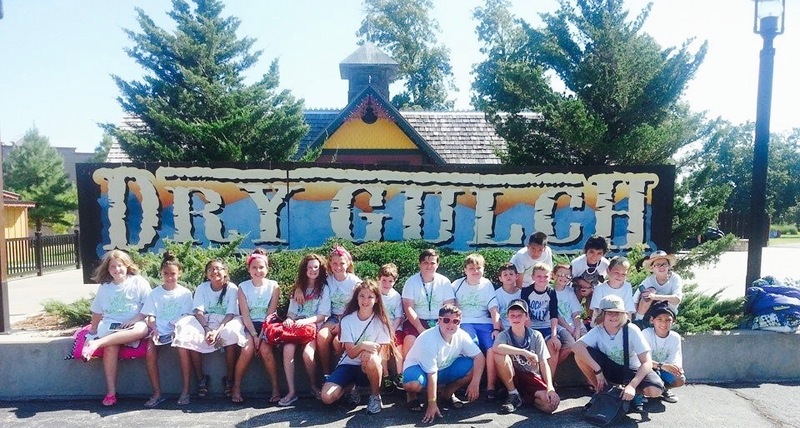 Please pray that camp will truly be a life-changing experience for the kids! 1 Peter 5:8 instructs us to, “Stay alert! Watch out for your great enemy, the devil. He prowls around like a roaring lion, looking for someone to devour.” (NLT) This is particularly true for our kids today. So please be in prayer for us. In our weekly City Kids services, we continue our “Gospel Project” journey with the emergence of King David and a prophetic covenant. God promised to establish an eternal kingdom through David’s line. It was the promise of Jesus. The promise of Jesus continues to flash forward as we learn about God and his people in the old testament. We have two convenient ways to give outside of service:: You can text the amount you want to give to (972) 330-2495. You will be guided through the easy steps, it is simple and secure. You can also click the button below to give online. Life is full of uncertainty. Daily situations beyond our control put us at risk for disappointment, failure, and regret. 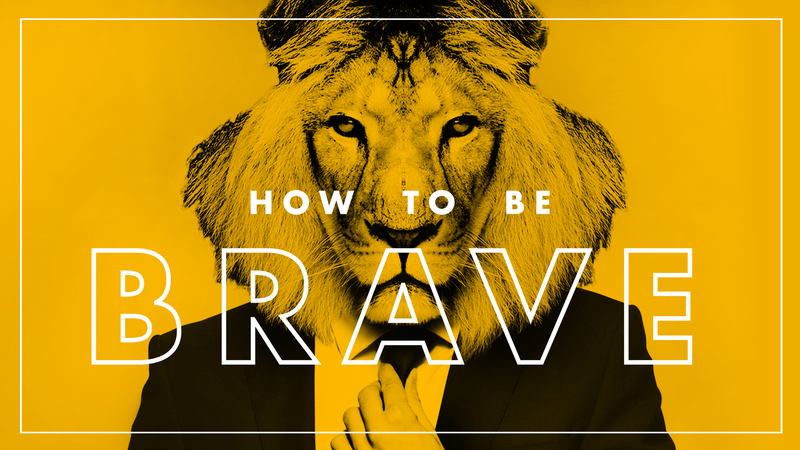 For most of us, bravery is not about staring death in the eye, but finding the courage to face the everyday pressure and anxieties life throws our way. In this series, we’ll discover how to be brave and what it means to rely fully on God’s peace and promises in every situation. 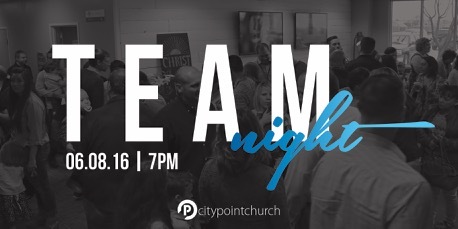 We can’t wait to gather for our Team Night happening on Wednesday, June 8th at 7:00! 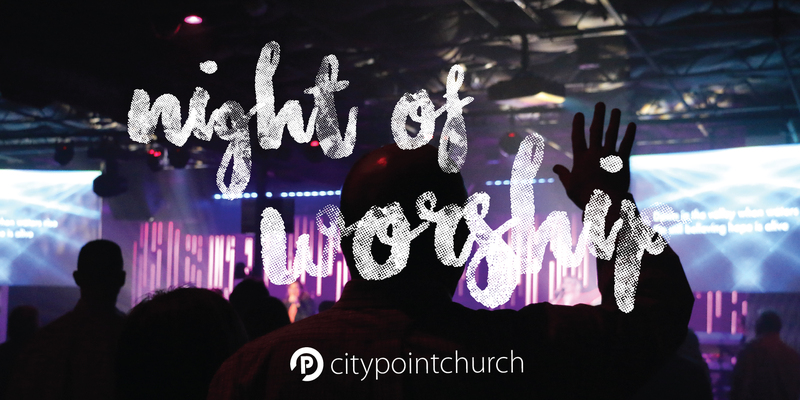 We will have some fun, worship together and hear from our Pastors on leadership and what’s coming up for CityPoint. This night is for all of our Point Team and those who would like to learn more about getting involved. We also hear there will be some serious Team competition happening – so come ready to play. We have childcare covered for birth through 6th grade – so don’t miss out! Hey Dads of all ages! 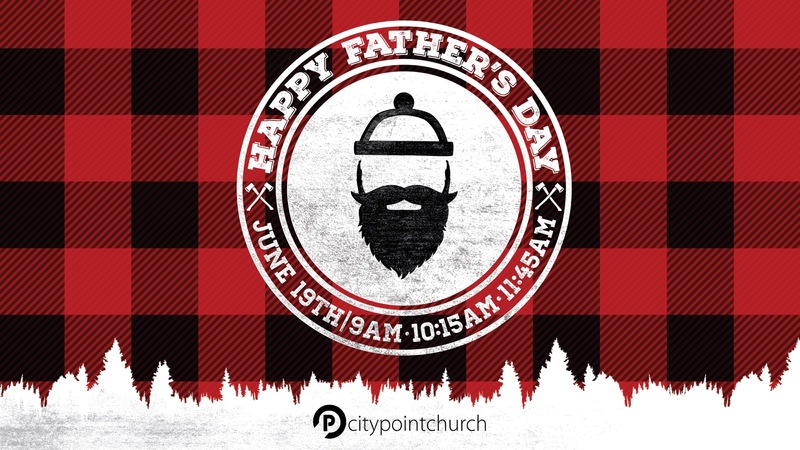 We have a great day planned just for you at City Point on June 19th during all services. We know you don’t want a day filled with flowery decorations and dainty finger food. You want a day that is an expression of you, a man, and not only a man but a Dad. We have designed a day to help the hair in your ears and on your back grow. A man-sized Father’s Day service. We will have sausage on a stick and a message aimed at all the men in the house. You only have one day a year that is “man” day and City Point is the place to kick it off! I think everyone can agree that our City Kids have a great time every Sunday. They worship, play games, make friends and learn about Jesus. This summer we decided to take it to a whole new level! We’ve invited their favorite Super Heroes to join us for all three services on July 10th. What would it be like to meet Spider Man, Super Man, Batman or Iron Man? Invite somebody that has a child who loves superheroes to be part of this Super Sunday. Come join us for a worship experience that is sure to take your walk with God to a deeper place. Take some time out of your busy Summer and allow room for God to speak to you. We all carry burdens and walk through circumstances that are beyond our control and this night is designed for you to forget about the worries of life – cast your cares on Him – and be refreshed in God’s presence. We’ll see you on Wednesday, July 13th at 7pm for this awesome time together! Childcare is provided for babies through 6th grade. Get ready to dive into a life-changing adventure that leads kids deeper into God’s love! At Deep Sea Discovery kids will participate in the large-group excitement of Celebration Reef, experience God’s Word at S.S. Discovery, learn ways to serve others at E.C.H.O. Sea Sub, explore the mysteries of the sea through crafts and science at Curiosity Cavern and enjoy snacks and games at Pelican Pier. Along the way, kids will explore the depths of the Bible using four dive markers to guide them. Through Deep Sea Discovery, they will resurface knowing that God is with them wherever they go! Your kids won’t want to miss this adventure! Secure their place on the dive team! Registration is open for those who have completed Kinder through completed 5th grade. Dads. Dads take us under their wing. They teach us about life. They protect us. Dads dream with us. And our Heavenly Father is no different. 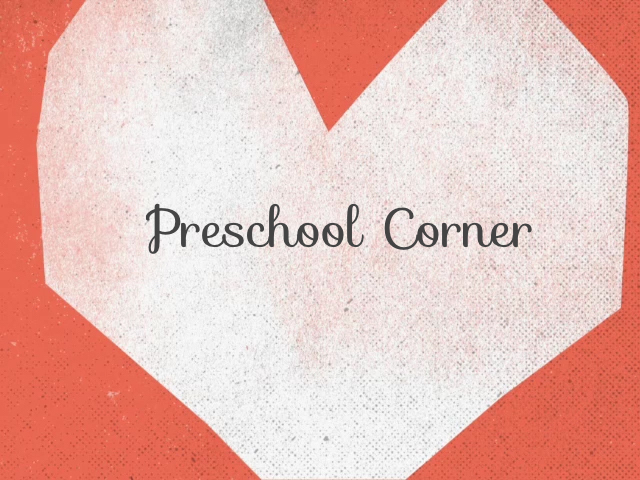 This June, your preschoolers will learn about the heart of our Father. With stories like the Lost Sheep, Jesus blessing the children, Zacchaeus, and Fishers of Men, the children will learn that God seeks us out, welcomes us, loves us even when we are unlovable and teaches us how to bring others to Him. We’ll also have a loosen-your-tie kinda day honoring the dads in our lives on Father’s Day with games and fun crafts. 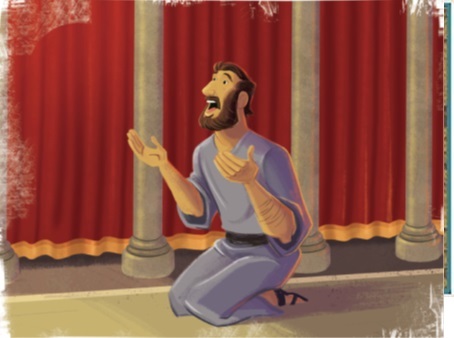 The kids are gonna love it!Our littlest tots will discover that God is always with them through learning the story of David and the Giant all month long. Shhhh! They may have a special surprise for daddy on Father’s Day too!Interested in construction work? Be a part of the team who pours the foundation of God’s Word in little hearts. 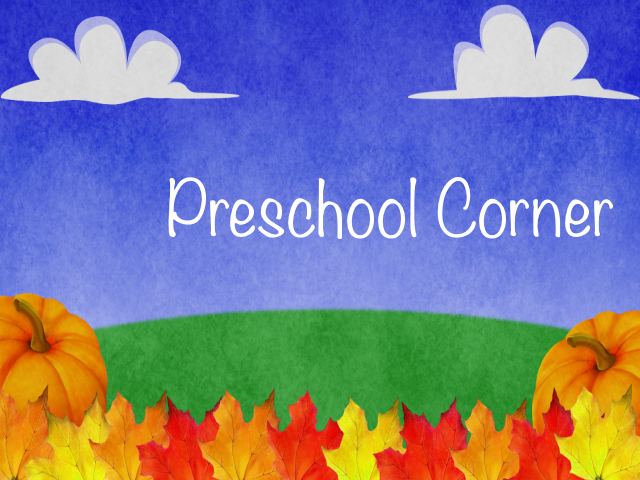 Join our nursery and preschool team today! Contact Alicia Ingram at aingram@citypointchurch.com! Summer is finally here and with it, City Kids is rolling out a new phase of our “Gospel Project”. Since starting the program last fall, we have seen God as creator, covenant maker, covenant keeper, deliverer, as Holy, and journeyed with the Israelites to the “promised land.” Now we will take a look at how the Israelites went about establishing their kingdom. In a twist of irony, we’ll see how God brought his people into their inheritance only for them to decide they would rather be ruled by a human “king.” How can people be so quick to replace God’s way with what they think is best? If we’re truly honest, many of us do the same thing by insisting we have things our way instead of God’s. We will learn that true peace and joy are only found when Jesus is Lord and Savior. Don’t forget to have your kids bring their Bibles each week. We are so excited that the giving campaign for our expansion into the warehouse, (attached to our current location), launched on January 31st. We will use our current auditorium as our new kids & youth worship space. The addition of the warehouse will double our adult seating, new kids/youth auditorium and triple our parking. We have raised half of our funds through pledges and offerings. As of today, we have raised $126,836.00. We will give updates monthly. You can give towards the expansion via text by texting the word EXPAND or give online to Building Fund. Our goal is to raise $200,000 by December. We have an App for thatIf you miss a Sunday but want to keep up with the current series – Download our App today. We have it for Android, Windows, and Apple devices. Simply follow the links below and pick up your free App today. You can also go to www.citypointchurch.com and click the link “media”. PrayerHave a prayer request? We would love to agree in prayer with you. Please let us know at prayer@citypointchurch.com. We also meet every Sunday morning at 8:30 in the multipurpose classroom to pray for our church, our families, and each other. We have been given freedom through Christ. We may live in a different century than the church in Galatia but we share the same struggles. 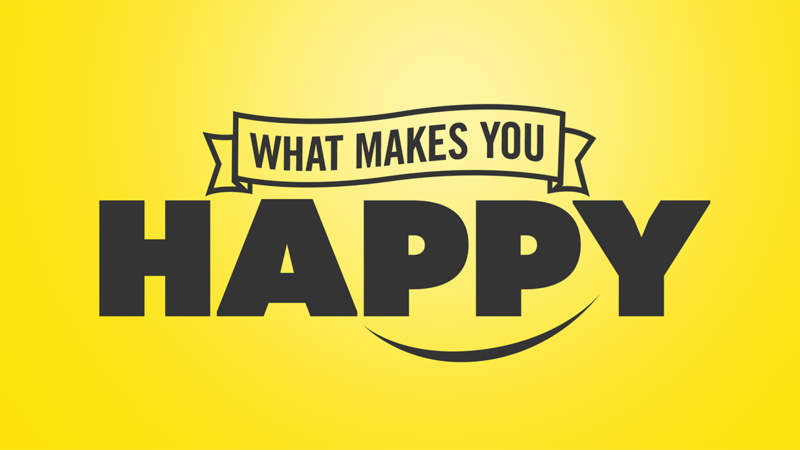 Discover how to live each day with the freedom God desires for you in this series. 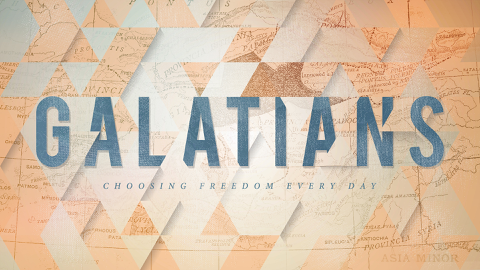 Join us this month as we walk through the book of Galatians each Sunday at 9:00, 10:15 & 11:45. Hey Moms of all ages! We have a special day planned just for you at CityPoint. We know you do a thousand things that make life better for the “little” people you love. 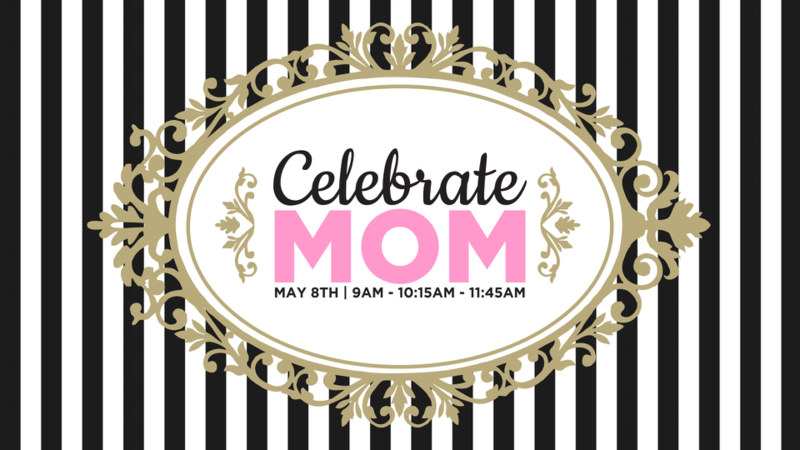 The job of being a Mom is many times a thankless job and we want to take a moment on May 8th to celebrate you! We will have some special surprises that day and, as always, the legendary City Point hospitality to show you how much we care. Don’t miss it! 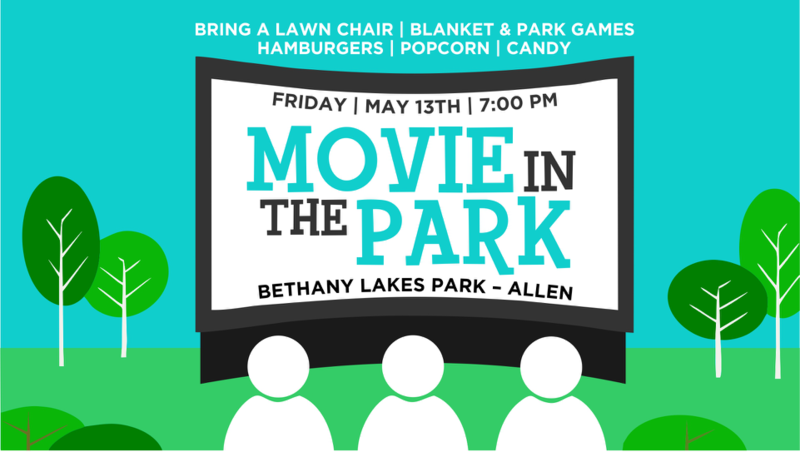 We are excited about our 4th annual City Point Movie Night at Bethany Lakes Park in Allen on Friday, May 13th at 7:00. We have rented out the pavilion and Club House for a fun night out. We have also asked Fun Flicks to set up a giant outdoor screen for us to watch a family-friendly movie. We will have hot dogs, burgers and drinks. Bring a football, frisbee, blanket & lawn chair. This event is open to anyone – so feel free to invite your friends. We will cook out and the movie will start at 8:30. We know it will be a perfect Friday night out and best of all – it’s our treat! PARKING NOTE:: There are 2 parking lots available – one that faces Bethany and the second that faces Allen Heights. Look for our CityPoint signs to find us – we will be under the pavilion. 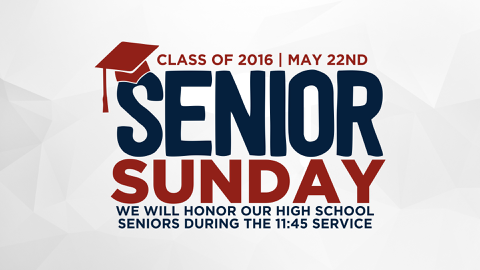 We will honor the Class of 2016 on Senior Sunday during our 11:45 service on May 22nd. There will be a luncheon after the service in their honor. If you have a student graduating this year please email Liz at lbrenden@citypointchurch.com. Get ready to dive into a life-changing adventure that leads kids deeper into God’s love! 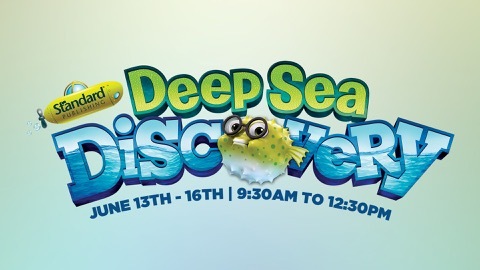 At Deep Sea Discovery kids will participate in the large-group excitement of Celebration Reef, experience God’s Word at S.S. Discovery, learn ways to serve others at E.C.H.O. Sea Sub, explore the mysteries of the sea through crafts and science at Curiosity Cavern, and enjoy snacks and games at Pelican Pier. Along the way, kids will explore the depths of the Bible using four dive markers to guide them. Through Deep Sea Discovery, they will resurface knowing that God is with them wherever they go! Your kids won’t want to miss this adventure! Secure their place on the dive team! Registration is now open for those who have completed Kinder through completed 5th grade. 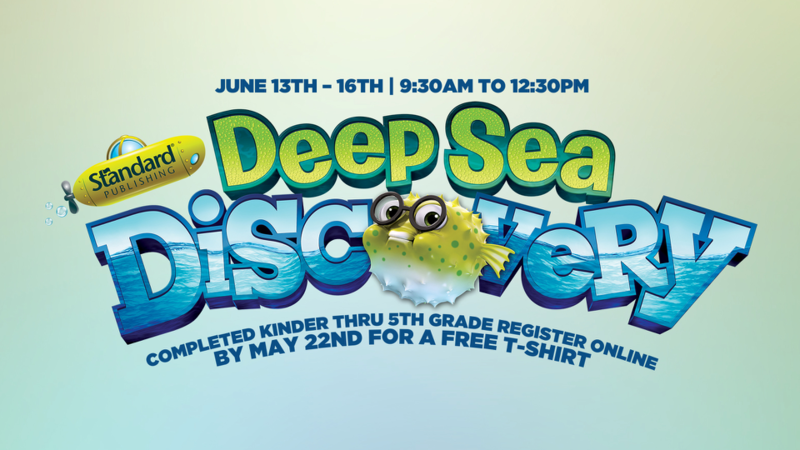 Register your child by Sunday, May 22nd to receive a FREE VBS t-shirt. VBS Volunteer training will take place on Sunday, May 1st after the 3rd service with lunch provided. May is Miracle Month in the preschool department! 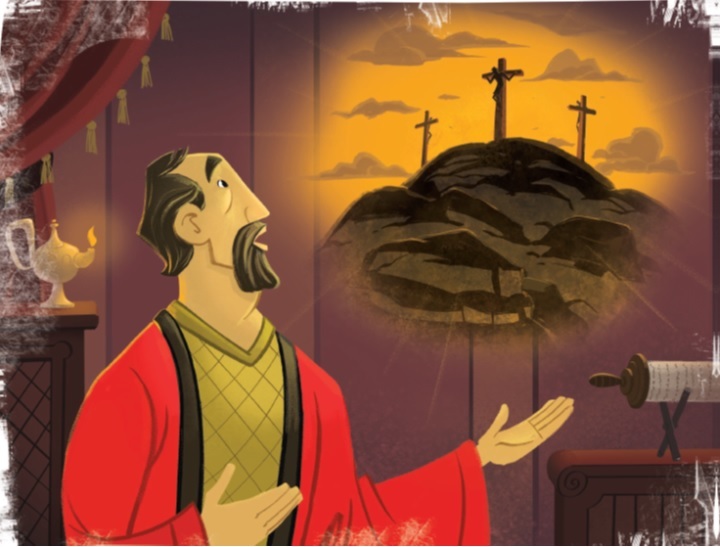 One month certainly cannot contain all the mighty miracles of Jesus, but the children will learn a few, from calming raging storms to a stinky dead dude who came back to life. The kiddos will know that with God, nothing is impossible! Little ones love to sing and dance and have fun. David was no different. Those sheep got a concert every day with David as their shepherd. Your babies, toddlers and two-year-olds will have a great time this month singing songs to the Lord and learning how God knows all about them and loves them very much! Interested in construction work? Be a part of the team who pours the foundation of God’s Word in little hearts. 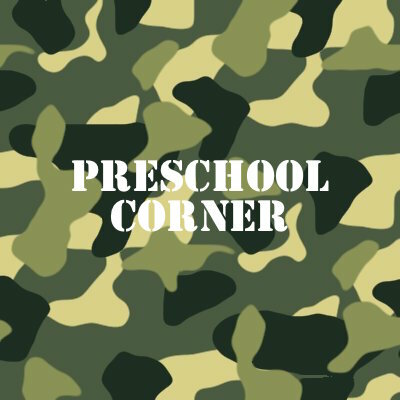 Join our nursery and preschool team today! Contact Alicia Ingram at aingram@citypointchurch.com! Is that summer we see on the horizon? Like the Old Faithful Geyser, summer is fast approaching and kids are getting excited to, once again, indulge in popsicles, swimming pools, and time with friends. It doesn’t seem to matter how predictable the seasons are. They still sneak up on us, don’t they? Our current Gospel Project study in City Kids exposes a similarly sneaky pattern. During the time period of the Old Testament Judges, Moses and Joshua were long-gone and the Israelites were caught in a pattern. They would fall away from God, end up in trouble, cry out to God for help, and God would raise up a judge to rescue them. Over and over again the pattern would repeat. Is there any hope for a humanity, which gets easily caught in a “close to God”, then “away from God” Merry-go-round? Yes there is. Jesus was and still is the answer. Our kids are learning that God is faithful even when his people are not and that Jesus did more than rescue us. He breaks that revolving nature of sin in our lives. We live in a very social-media driven culture. Facebook, Twitter, Instagram, Tumblr, Periscope, YouTube & Snapchat are all apps/services that have allowed us to instantly connect with all of our friends & relatives, regardless of the distance between us. It’s a pretty amazing feat if you think about it. No other generation before us has had the capabilities and/or technologies to connect & keep up with all those involved in our lives. Yet, as we strive to become more & more connected as a society, there’s one relationship we’ve seemed to completely forget about, and that’s with God. Join UPRISE as we take a look at how we can send and experience Direct Messages from God! Don’t miss our church-wide event Movie in the Park on Friday, May 13th at 7:00 PM. 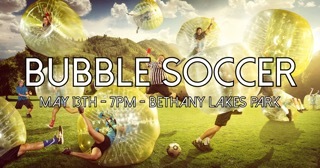 We will have bubble soccer for students to play before the movie starts! 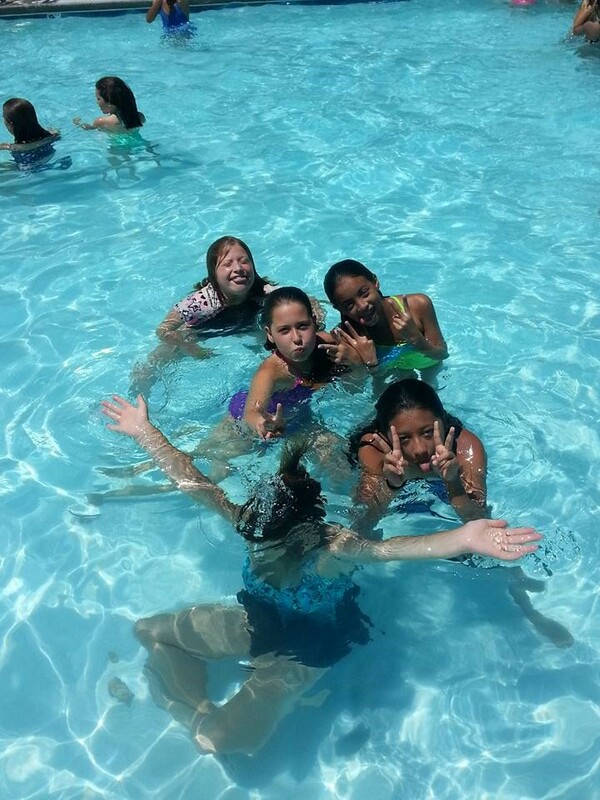 We are looking forward to an amazing time this summer at Verge Camp! Students will have an opportunity to get away from their everyday routine, seek God, and hopefully have a life changing experience! This Summer we are going to Verge Camp in San Destin, FL from July 18th-22nd. The cost is $410 per student, or $85 per month from March-July. For more details please contact Pastor Andrew at abrenden@citypointchurch.com. We are so excited that the giving campaign for our expansion into the warehouse, (attached to our current location), launched on January 31st. We will use our current auditorium as our new kids & youth worship space. 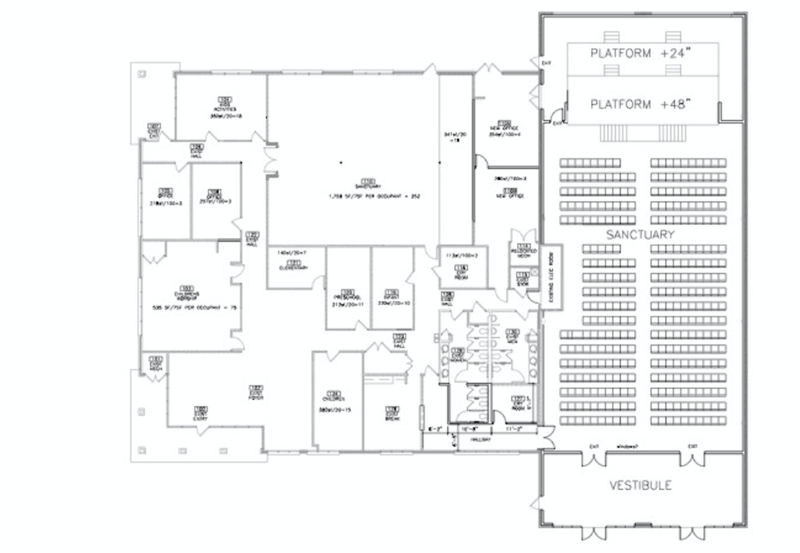 The addition of the warehouse will double our adult seating, new kids/youth auditorium and triple our parking. We have raised half of our funds through pledges and offerings. We still have $97,562.00 to go as of February 28th. We will give updates monthly. You can give towards the expansion via text by texting the word EXPAND or give online to Building Fund. If you miss a Sunday but want to keep up with the current series – download our App today. We have it for Android, Windows and Apple devices. Simply follow the links below and pick up your free App today. You can also go to www.citypointchurch.com and click the link “media”. Sometimes we forget that faith has a starting point as well. For some of us, our faith journeys began in childhood as a set of beliefs handed to us by a parent, teacher, or pastor. Maybe you developed a framework of faith based on personal experience. Or maybe you had no faith at all. Too often, a faith formed long ago isn’t strong enough to withstand the pressures of your current life. What if you could find a fresh starting point for faith? Is it possible to wipe the slate clean and have an fresh starting point for faith? If so, where would you begin? What questions would you ask? 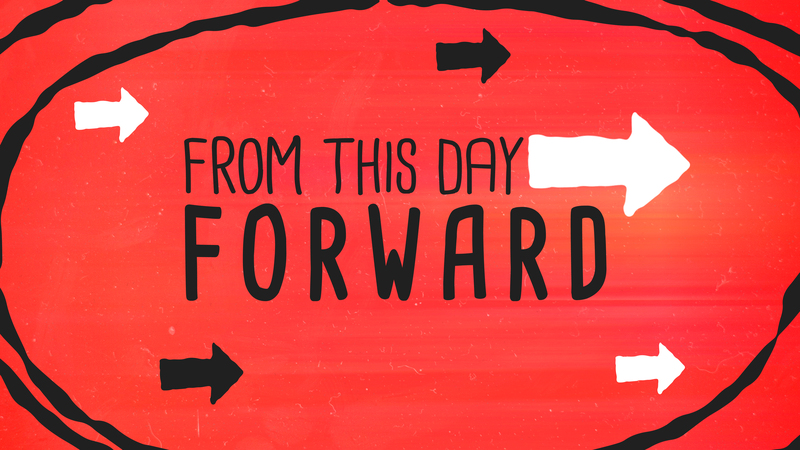 In this series we will explore what it would look like to hit the restart button on your faith. Are you ready to go ALL IN and take your faith public? 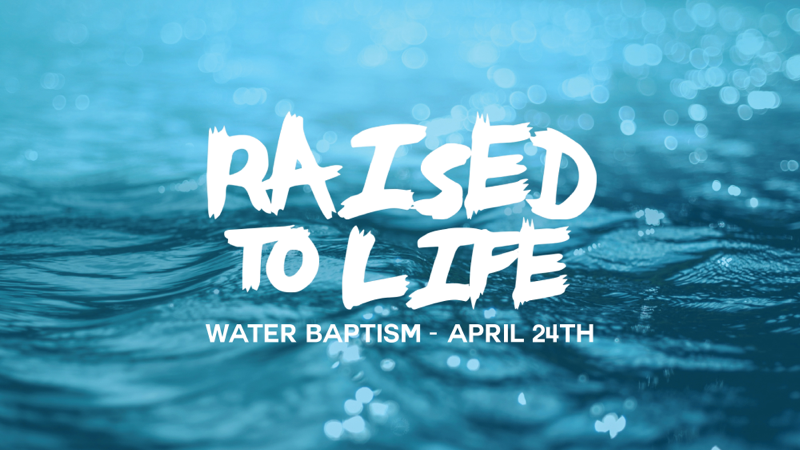 We will be having water baptism during both services on Sunday, April 24th during the 10:15 & 11:45 service. What a meaningful day to take part in a foundational event for a follower of Christ! If you are interested in being baptized please let us know at info@citypointchurch.com or by filling out a Connection Card during a service and writing “Baptism” on it – you can drop it in the offering. Hey Moms of all ages! We have a special day planned just for you at CityPoint. We know you do a thousand things that make life better for the “little” people you love. The job of being a Mom is many times a thankless job. We want to take a moment on May 8th to celebrate you! We will have some special surprises that day and, as always, the legendary City Point hospitality to show you how much we care. Don’t miss it! We are excited about our 4th annual City Point Movie Night at Bethany Lakes Park in Allen on Friday, May 13th at 7:00. We have rented out the pavilion and Club House for a fun night out. We have also asked Fun Flicks to set up a giant outdoor screen for us to watch a family-friendly movie. We will have hot dogs, burgers and drinks. Bring a football, frisbee, blanket & lawn chair. This event is open to anyone – so feel free to invite your friends. We will cook out and the movie will start at 8:30. We know it will be a perfect Friday night out and best of all it’s our treat! Joshua. Gideon. Deborah. David. All were great leaders who knew about being ARMORED in battle and being on GOD’S TEAM. This April, your preschoolers will learn about these famous leaders in the Bible and discover how to wear their ARMOR everyday! Courage will be required. All children qualify.For our littlest braves, baby Moses and his family will be the story of the month. Babies, toddlers and two-year-olds will learn how God gave them a family and their special place within it. Expect these little ARROWS to come home excited about Jesus!! We’re looking for some good people on the FORCE and we want YOU! Contact Alicia Ingram, aingram@citypointchurch.com, if you would like to be the newest RECRUIT on the preschool team! With spring season in full swing, City Kids on Easter Sunday saw 3 very full services. Besides the 2000 Easter eggs, petting zoo, and cotton candy, we had many visitors from the surrounding community. We also are ecstatic that several kids made a commitment for Christ and that’s what it’s all about! Thank you so much for all that volunteered and worked hard to make Easter Sunday one of the best City Point has ever had. As for our continuing Gospel Project Journey it was amazing to go from Moses putting a bronze snake on a pole for the Israelites to be healed, to showing Jesus on the cross for the salvation of the World. 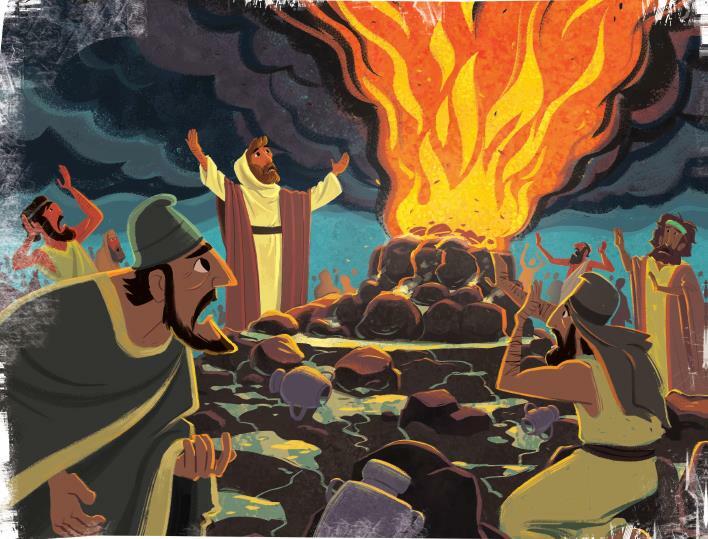 We will now be going back to the Old Testament wilderness with Moses passing the “torch” to Joshua. God is faithful and the kids will be learning how he fought for his people and made a way for them. Don’t forget to have your kids bring their Bibles each week. Waves – Finding your breath in an overwhelming world. We all have stress & anxiety in our lives. A common misconception of Christians is that we don’t experience these things in our life. But God’s word is very clear we all will experience these waves of emotions in our lives. Join us as we discover how to navigate our emotional hold downs, find hope in God’s truth, and discover a life amongst the waves. 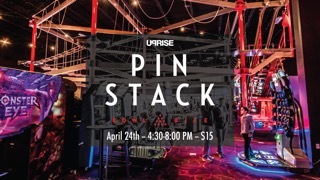 Don’t miss our April event at Pin Stack in Plano! Bowling, arcade, laser tag, bumper cars, ropes course. Invite your family and friends to our Easter celebration on Sunday, March 27th during all three services. We have an amazing day planned for all ages! We will have an egg hunt for ages 2 years through 6th grade, petting zoo, cotton candy and a visit from the Easter Bunny. We have invite cards available to make it easy to invite family and friends. It’s going to be fun! What time is it? Where did all the time go? Does time really fly when you’re having fun? Maybe we think about time so much because there never seems to be enough of it. 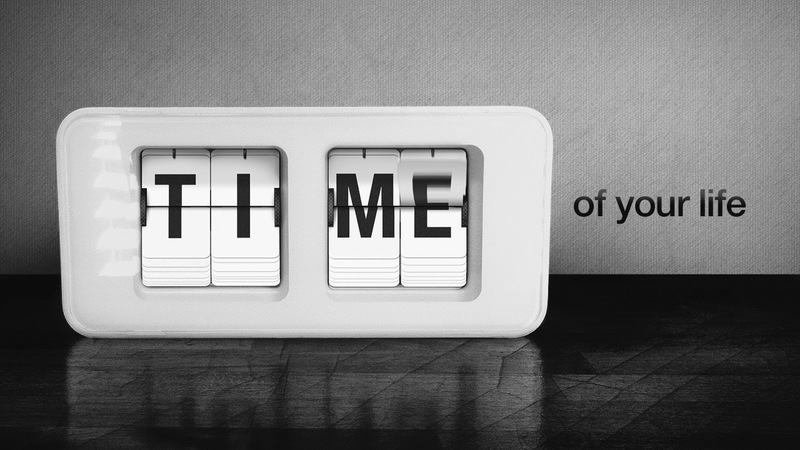 Maybe there’s only one question we need to ask: What am I doing with my time? Simple question? Easy answer? It’s time you found out. During this series on one of the Sunday’s, we will have a special guest speaker. Don’t waste another second. Community Groups – Register Today! We kicked off a new 12-week semester of Community Groups on February 22nd that will end on May 9th. This semester we will, again, focus on one very simple goal – “Make a Friend”. Our hope is that during the 12 weeks we will all have a new friend or friends in our life. Our small groups are Free Market groups which mean they can be just about anything. 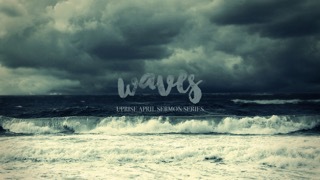 Register online at citypointchurch.com. Easter is right around the corner! What better way to celebrate than to share the story of Easter throughout the whole month of March. The children in preschool will learn about the greatest gift ever given with lessons about Palm Sunday through the Resurrection. Perfect for every age! The kiddos won’t wanna miss an egg-stra special Easter Sunday on March 27th including a good, old-fashioned Egg Hunt. The eggstravaganza will be happening during every service and wouldn’t be complete without candy, toys and prizes galore! 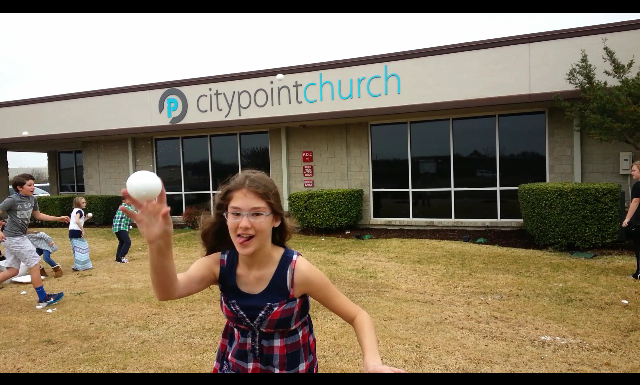 Snowball fight in Children’s Church? Yes, we did! 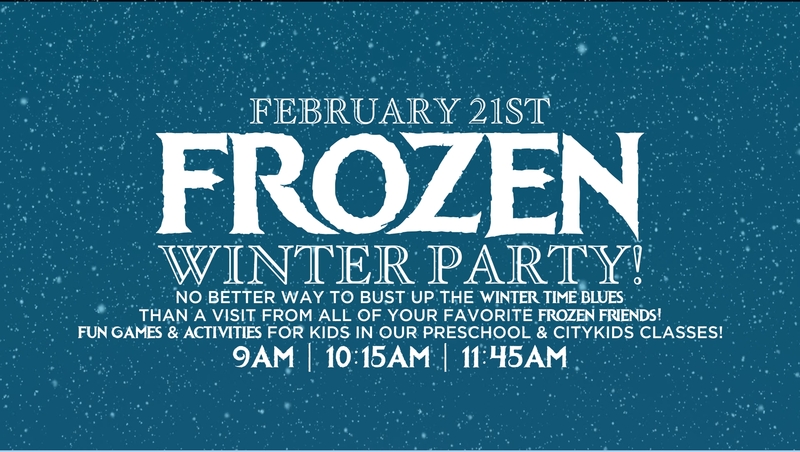 City Point’s “Frozen” Sunday this past month was an awesome continuation to our Texas winter! 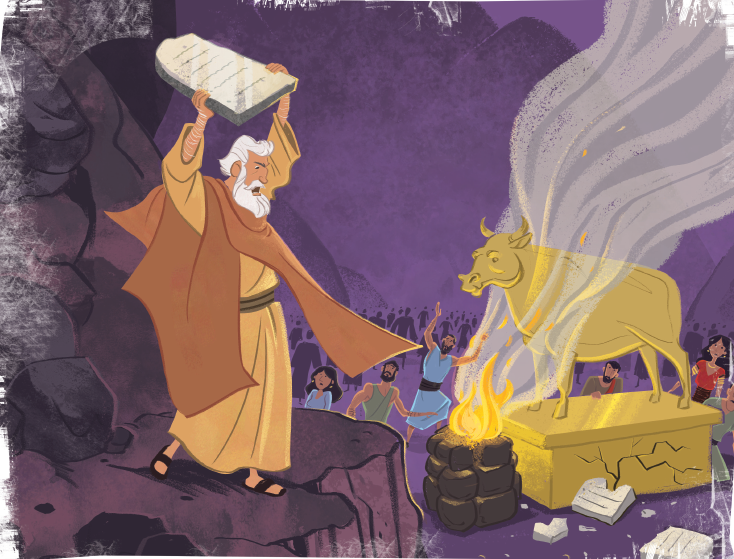 Behind a healthy dose of fun, City Kids Elementary saw God unveiling the Old Testament law through Moses. We learned that God required a holy people because he was a holy God. We also learned that only Jesus could follow the law perfectly and that he was the one true sacrifice, for all time, for our sins. As city kids continue to journey through the Gospel Project series, the next unit will show God as a savior. Joshua emerges as the new leader of God’s people as they cross the Jordan into The Promised Land. Parents, it may not be too late to sign up your child for summer camp. Please let us know as soon as possible. Thank you to everyone that contributed on February 21st for Kids Summer Camp. We exceeded our goal of $1,000.00! 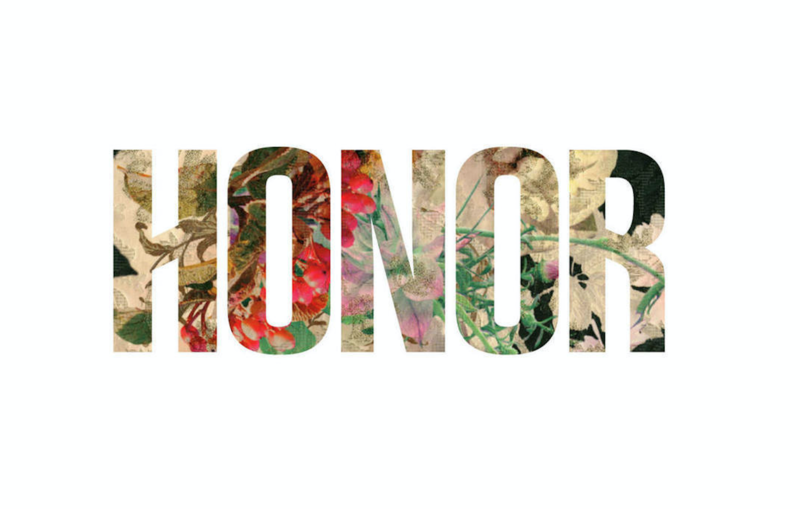 This month in Uprise we are going to be focusing on Honor. From relationships, parents, leadership, to God we really want to take a look at it all and how living a life full of honor is so important. To honor someone is to value them highly or bestow value upon him. The Bible tells us to show honor to certain people in our lives, but before we can show honor to others we must truly understand what it is and who it truly belongs to. 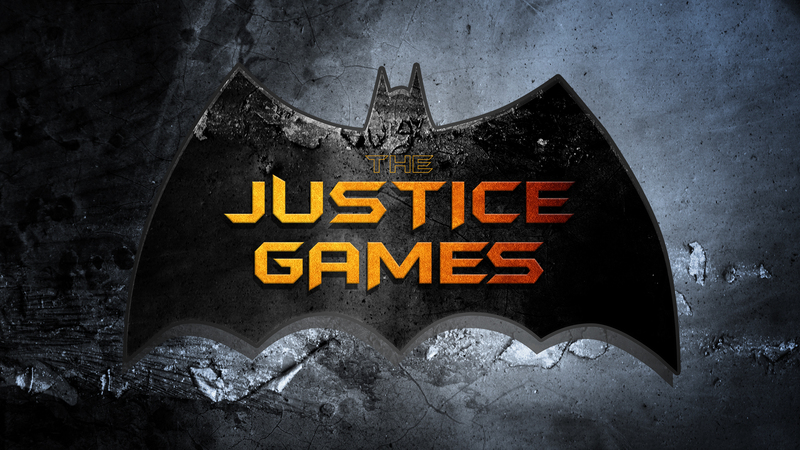 In anticipation of Batman v Superman: Dawn of Justice, we are having a team game night! There will be a Game Truck available outside in the parking lot before service from 4:30-5:30 on Sunday, March13th. Then we will break up into teams, Team Superman vs. Team Batman, for a night of competition! Don’t miss the chance to bring your friends to this event and maybe even win an awesome door prize! When you feel down and out, you may be down, but you’re never out. There is still hope. Sure, you may be behind. 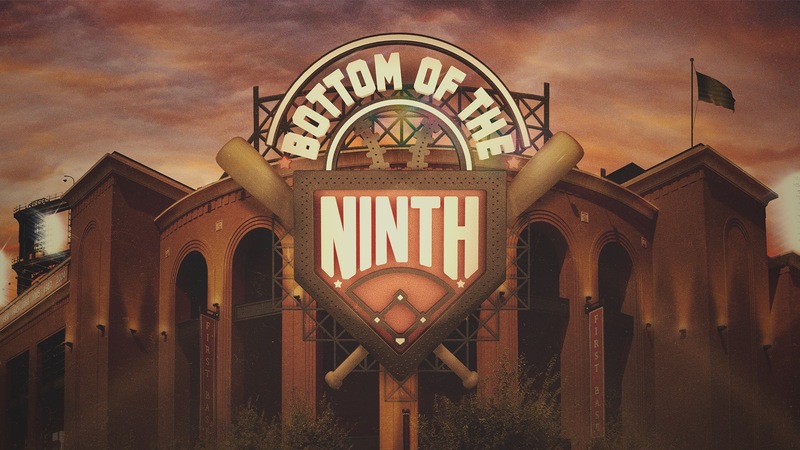 It may be the Bottom of the 9th, but there is still a chance to turn this game around. Join us in February as we look at how to turn things around. We kick off a new 12-week semester of Community Groups on February 22nd that will end on May 9th. This semester we will, again, focus on one very simple goal – “Make a Friend”. Our hope is that by the end of the 12 weeks we will all have a new friend or friends in our life. Our small groups are Free Market groups which means they can be just about anything. We will send an email soon with the list of groups and give you an opportunity to register. Do You Want To Host a Group? If you are interested in hosting a group please let us know at info@citypointchurch.com. We will have host training on Tuesday, February 9th at 7:00 PM. We are throwing a Winter party! We have planned a special day to help turn around those Winter-time blues. We have invited some of the characters from Frozen; Elsa, Anna and Olaf to join us that day. They will be in the lobby before and after each service to meet the kiddos and for you to take photos. We will have games and a ton of fun so invite your friends and let’s party! 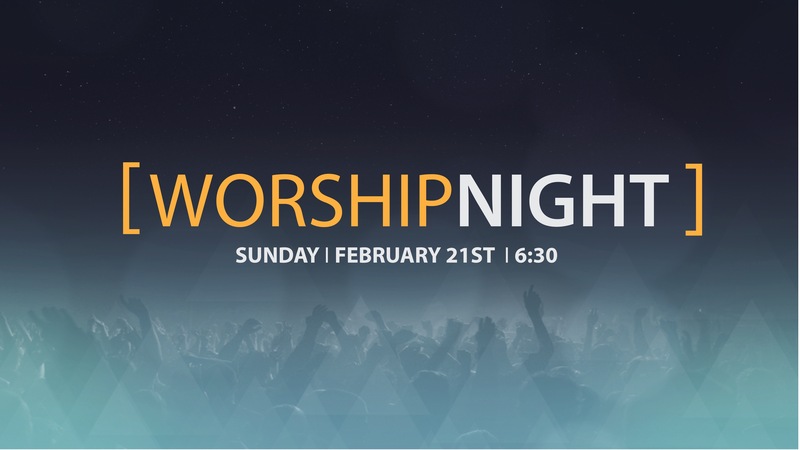 Join us on February 21st at 6:30 for a night of worship with the CityPoint band and Pastor Eddie. We will take our time and enjoy the presence of God. Childcare is available for birth through 6th grade – no registration is required. This night is open to the public – so invite a few friends along! If you attended Summer Camp as a kid then you can remember how life changing it was. In fact, statistics tell us that kids that attend camps on a regular basis as a child and student tend to have a stronger faith as an adult. We as a church want to make sure every child has this opportunity. 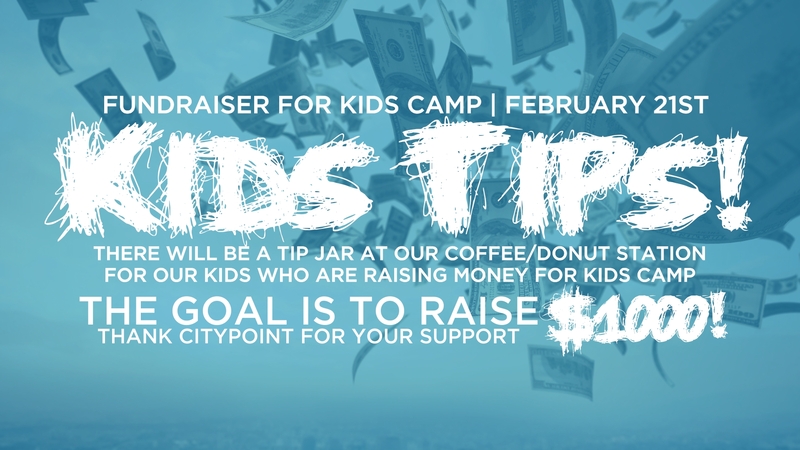 On February 21st we will have tip jars next to our coffee and doughnut stations. We are asking everyone to bring a little extra cash and change that day and drop it in the jar as you enjoy your free hot coffee and yummy doughnuts. This will help cover transportation costs and any kids that need scholarships. Join the Team…..Have you ever wanted to get involved at church and you enjoy little ones? 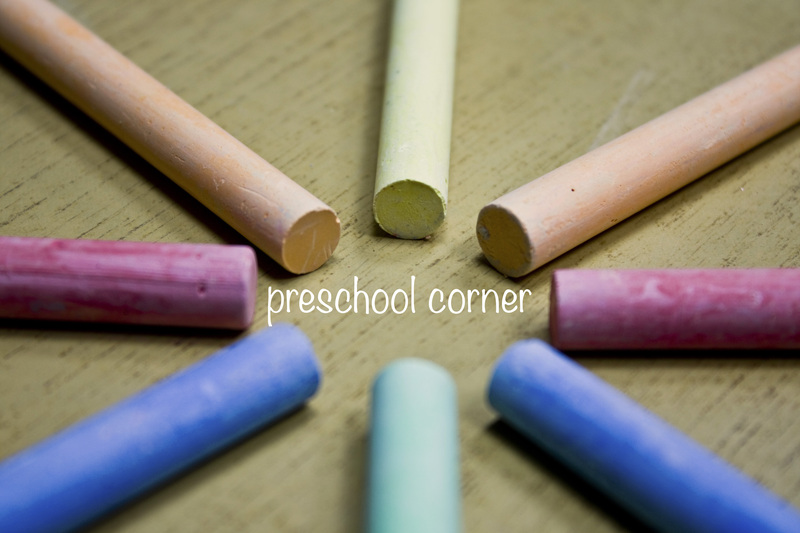 We’d love to have you join the preschool team and see what the fun is all about. Serve as little as once a month. Serve with a friend or serve with your spouse. Contact Alicia Ingram at aingram@citypointchurch.com for more information! As City Kids continues to journey though the Gospel Project series, one thing is clear; it becomes almost impossible to look at stories like the life of Moses and not see the life of Christ emerge. We’ve been able to help the kids draw parallels between Moses as a mediator between God and Israel and Jesus being our ultimate mediator. God delivered his people from slavery in Egypt, but what will happen in the wilderness? Where will He lead them? Our next few lessons will focus on the Ten Commandments and God’s Holiness. There’s a lot of people quoted in the Bible. From kings, to prophets, you can find almost every advice imaginable for our lives. Even God has a few things he’s credited for saying (go figure). But there was a period in time where God had a lot to say to his people, in particular Jesus’ time. In fact there are tons of Jesus quotes, some that are intriguing, others controversial. It goes without saying that all of them are very important and we should pay close attention. This month, join us as we examine some of His more famous quotes He said during his time on earth. Parents! We are really excited to announce that Uprise will be attending VERGE Summer Camp this year!! We’ve decided to host a meeting on Sunday, February 28th, after the 3rd service, in the Connection Point/VIP Classroom. Important information like camp costs & camp location will be discussed as well as opportunities for questions to be answered. We hope to see you there! We have planned a special time of prayer in preparation for the new year as we believe God for a season of fruitfulness in our church. We will have a 1 hour-long corporate prayer service from 9:00am – 10:00am on Saturday – January 16th, 23rd and 30th. Join us for this special season of prayer! We kick off a new 12-week semester of Community Groups on February 22nd that will end on May 10th. This semester we will, again, focus on one very simple goal – “Make a Friend”. Our hope is that by the end of the 12 weeks we will all have a new friend or friends in our life. Our small groups are Free Market groups which means they can be just about anything. We will send an email soon with the list of groups and give you an opportunity to register. Connection Point is a 3-week course where we share the vision and purpose of our church. You will learn more about City Point and our vision as well as a focus on how to grow in your relationship with God. We also look at discovering our purpose & gifting’s and we show you practical steps to utilize your gifts to build the kingdom of God and find true purpose. It takes place DURING the 10:15 service. Connection Point begins the first Sunday of every month with Class 101. If you have questions please email us at info@citypointchurch.com. City Point turns THREE this month and we plan to celebrate big on Sunday, January 31st. Join us as we give thanks to God for all He has done the last 36 months. The fun will be happening during all three services so pick a time and come join the party! 9:00, 10:15, 11:45. Be sure and invite your friends & family! Are you ready to go ALL IN and take your faith public? We will be having water baptism during all services on Sunday, January 31st. What a meaningful day to take part in a foundational event for a follower of Christ! If you are interested in being baptized please let us know at info@citypointchurch.com or by filling out a Connection Card during a service and writing “Baptism” on it – you can drop it in the offering. Flies in the sky. Gnats on the cats. Frogs in the soup. Dead cows. Just a few things the Egyptians might have experienced during Moses’ visit to Egypt. All month long, your 4’s thru Kindergarteners will be learning about the life of Moses, from the baby in the basket to the Ten Commandments. They won’t wanna miss any part of this amazing story! 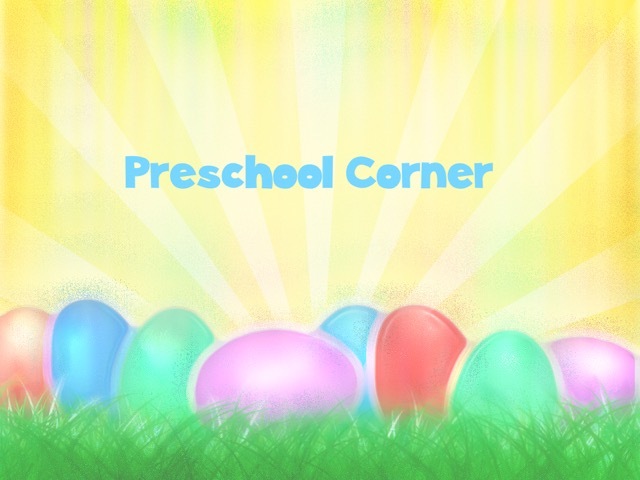 In the nursery, 2’s and 3’s classes, we will be teaching about Jesus growing up. He went to church. He hung out with friends. He obeyed his parents. He grew up just like us! 2016 is here! With the new year beginning, City Kids will be highlighting another Compassion International child for the month of January. For the past two months City Kids has prayed and taken up offerings for the Compassion International children City Point Church supports. We will be learning about and praying for Lhance Kevin Ramilo from the Philippines. Our journey through the Gospel Project continues. After starting with creation 16 weeks ago, we have seen God as creator, covenant maker, covenant keeper, and now we learn about God as a redeemer in the life of Moses. We’ll see God at work in the young nation of Israel and the demonstration of his power before Pharaoh. If your kids miss any of the bible cards we pass out each week, let us so we can keep their card collections current. There is a gap between where we are and where we see ourselves in our biggest dreams. This gap can seem insurmountable, overwhelming, and even impossible. But here’s the thing: God often gives us a unique message to share or a difficult problem to solve, and we just need a simple push in the right direction. Uprise Youth meet every Wednesday evening from 7:00-8:30 at the church.